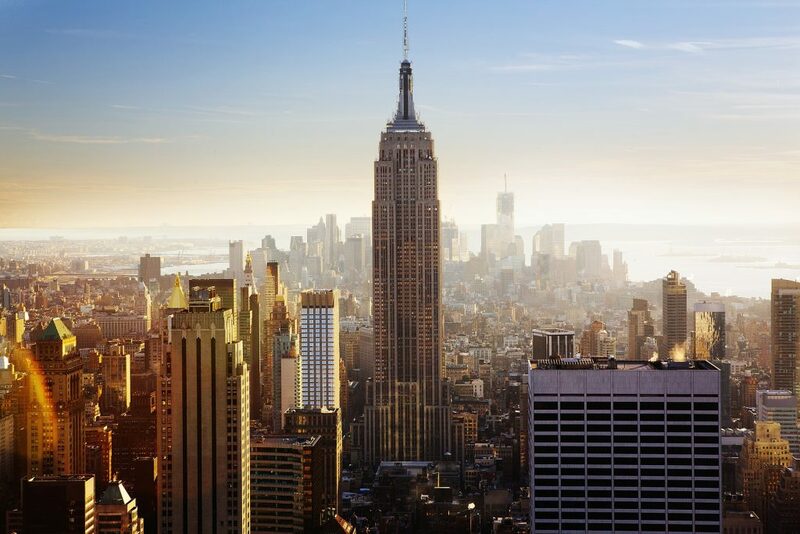 A city of thousands of restaurants, hotels, museums, boutiques and almost 8.6 million people — the Big Apple is big! You can never really see all of New York, but if you can afford to spend at least a week in NYC then the New York Itinerary 7 Days in the Big Apple will help you map out your perfect trip. 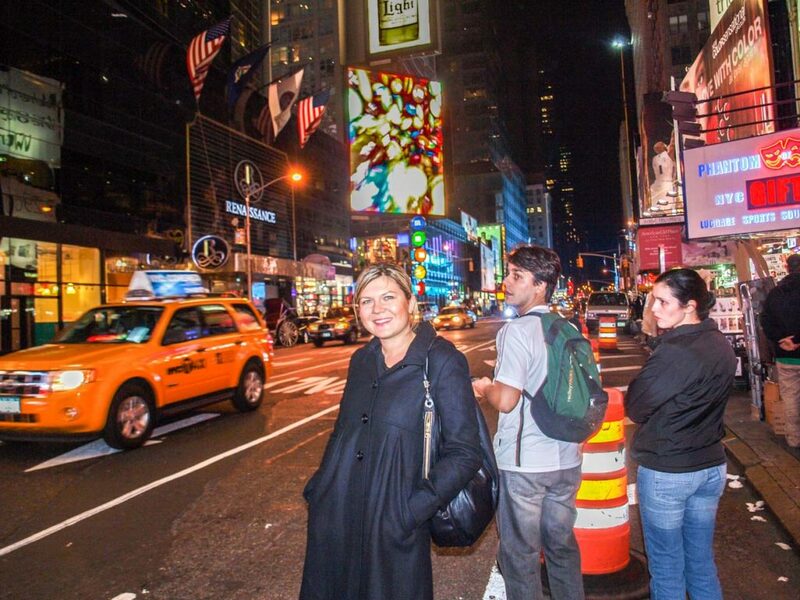 I have been to New York twice and on both occasions it was to celebrate my birthday, which is in October. Fall is a great time of the year to visit New York as it is not too cold, the mid-season sales are on and it is the month of Halloween. 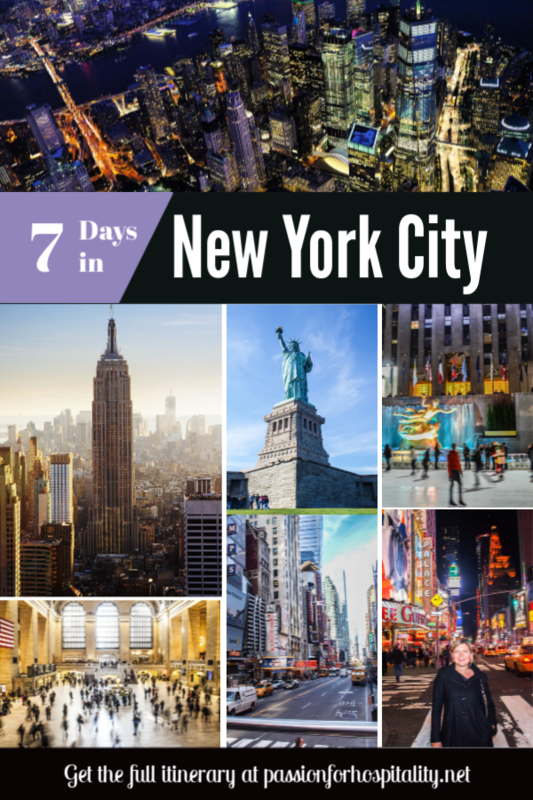 In this post I will share my 7 Day Itinerary for New York City — however you can choose in what order you will visit the must-see spots of New York, always based on your preferences of course. 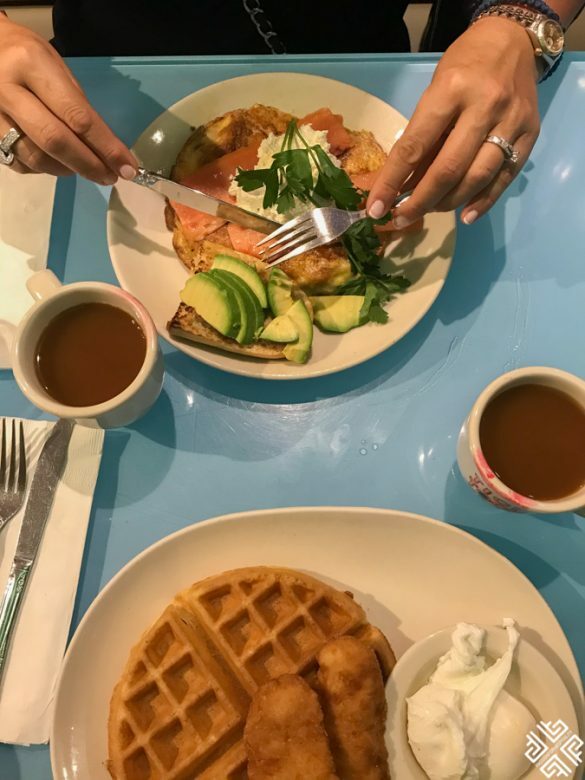 Where to Eat in New York? 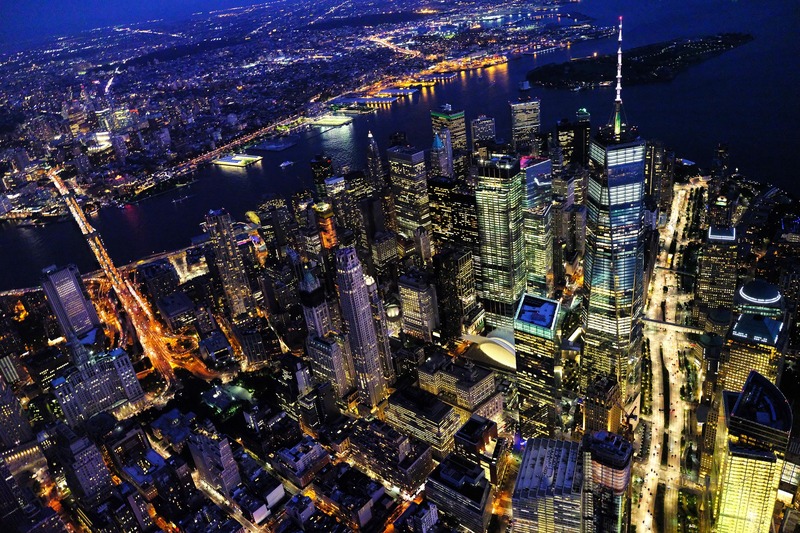 New York is made up of 5 boroughs which are situated at the point where the Hudson River meets the Atlantic Ocean. The heart of New York is Manhattan, one of the world’s busiest financial, cultural and commercial centres. 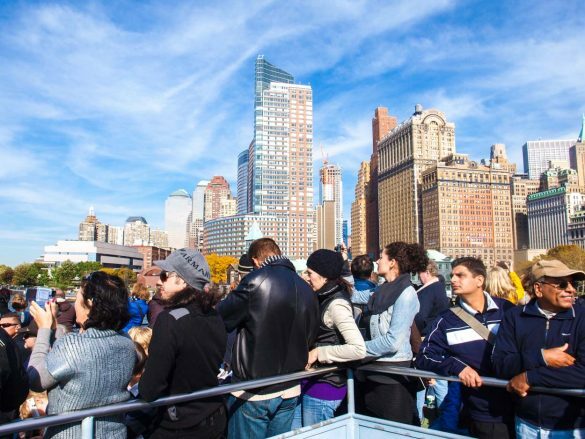 This itinerary includes a guide to the 4 of the 5 boroughs of New York, listing some of the popular attractions in each neighborhood. Uptown Manhattan – is the area situated between 59th Street and 155th Streets. 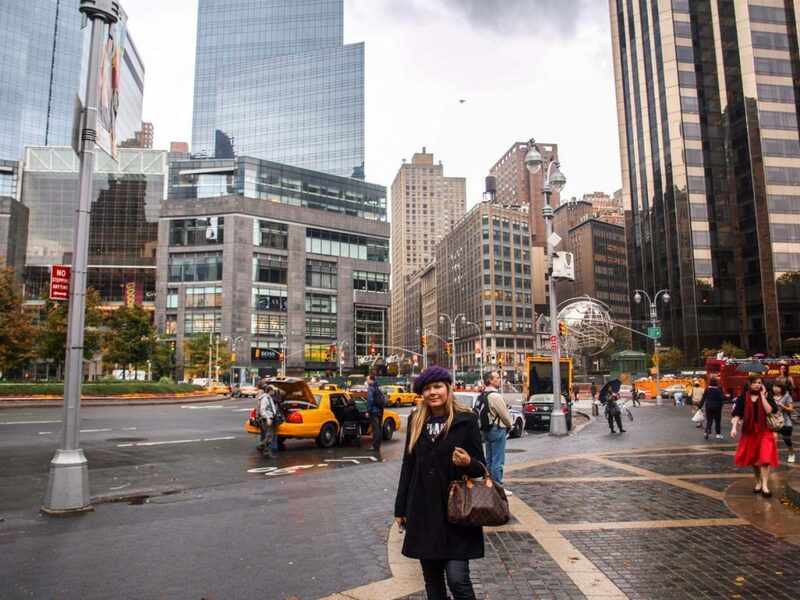 Uptown Manhattan is separated into four areas: Upper East Side, Upper West Side, Central Park, and Upper Manhattan. Here you will find some of the major museums and galleries in NYC such at the Metropolitan Museum of Art (The Met) and the American Museum of Natural History. 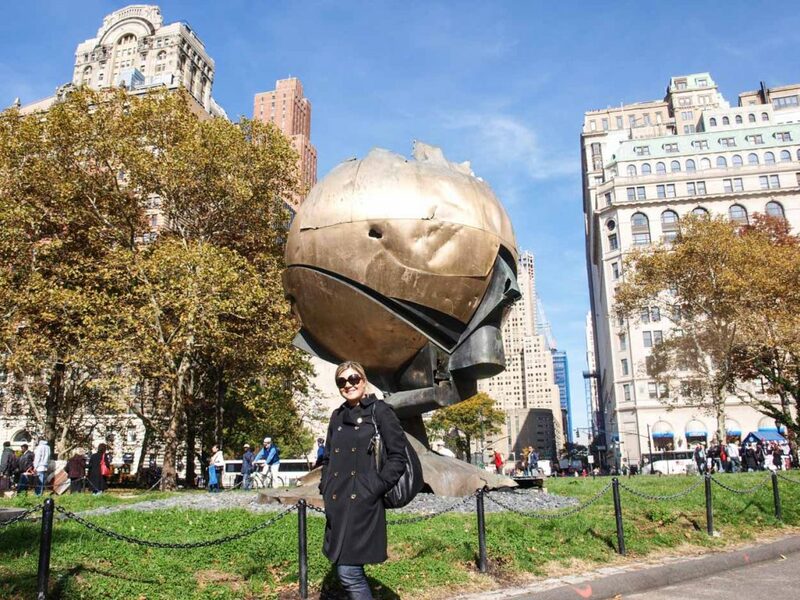 It is also the location of the famous Central Park which spans over 843 acres (341 hectares) of open space. An urban oasis lined with trees, plants and lakes. Upper East Side is one of New York’s most exclusive neighborhoods where many affluent New Yorkers reside in their millions of dollars homes. It is also the location of the most exclusive boutiques. Midtown Manhattan – is the area situated between north of 14th Street and south of 59th Street. 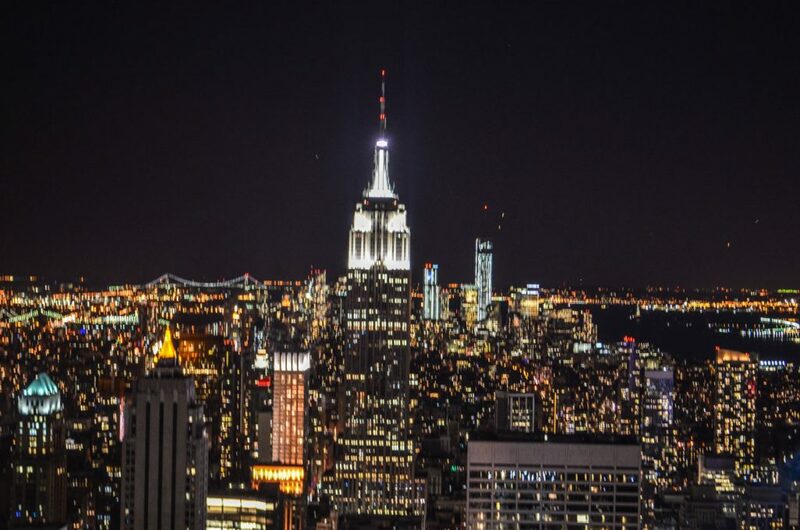 It is characterised by some of the most important landmarks of New York City such as the Empire State Building, which is the tallest building towering at 443 meters, the Times Square illuminated by the hundreds of billboards which make it an exciting place to visit especially during the evening. 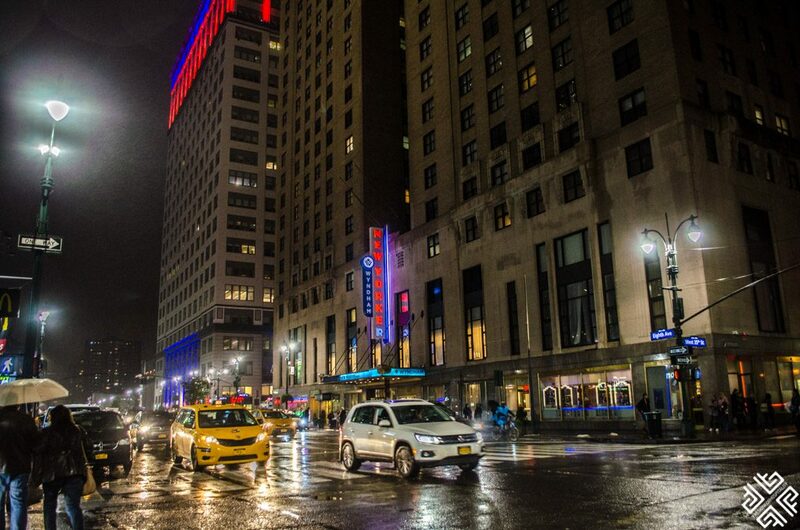 There is also the Broadway Theatre District which is home to some of the best theatres in the United States. 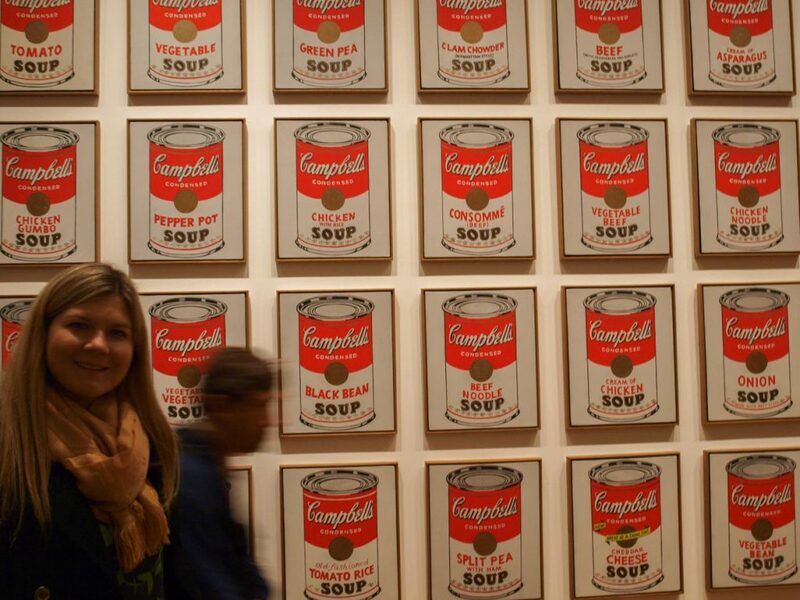 When it comes to museums don’t miss MoMa (Museum of Modern Art). 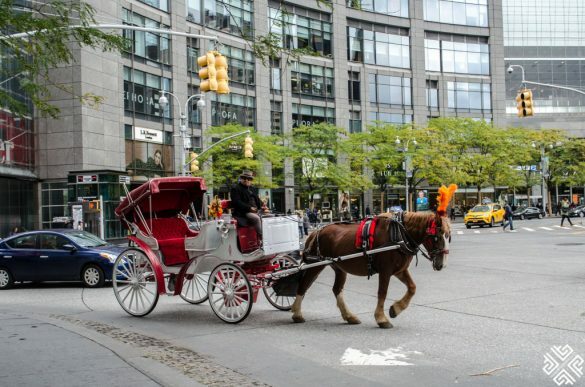 Midtown Manhattan is also the location of the world-famous Fifth Avenue lined with countless designer stores and departments stores such as Macy’s and Bloomingdale’s. 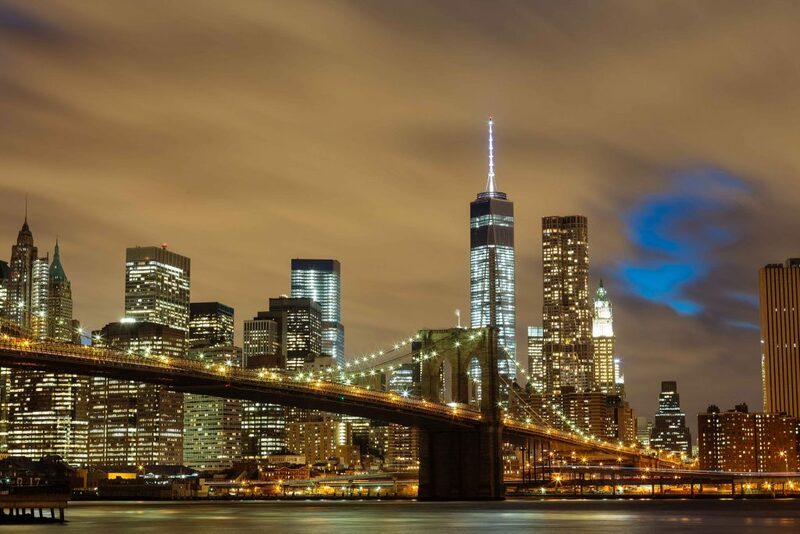 Lower Manhattan – is the area situated on the southern tip of Manhattan Island and is NYC’s Financial District where you will find the heart and soul of the US economy — the famous Wall Street. Another important site is the 9/11 Memorial & Museum. 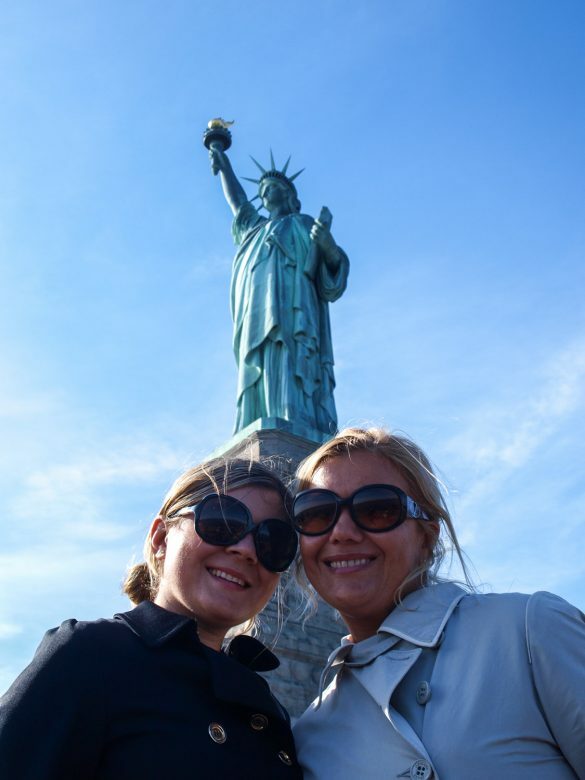 From here you can take a boat trip to the Statue of Liberty & Ellis Island. It is also the connection point to the Staten Island. While here you can also visit the lively neighbourhood of Chinatown. 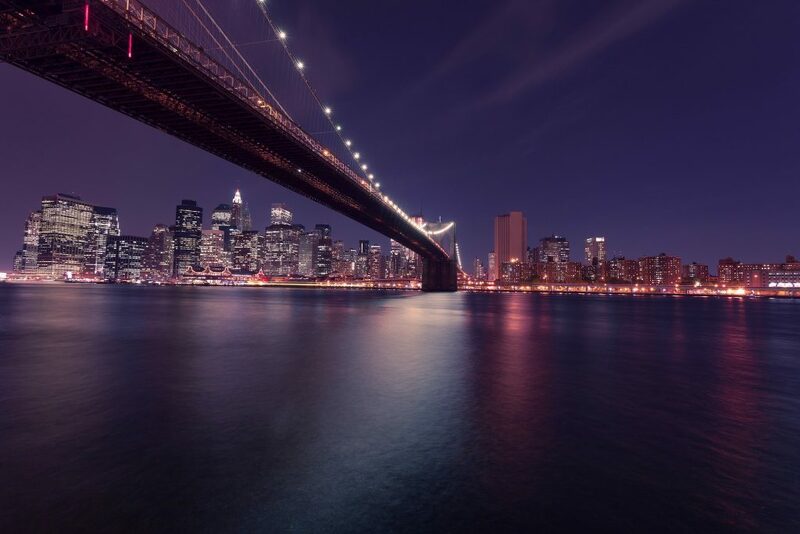 Brooklyn – Walk across the Brooklyn Bridge which is one of the most iconic structures in New York City. 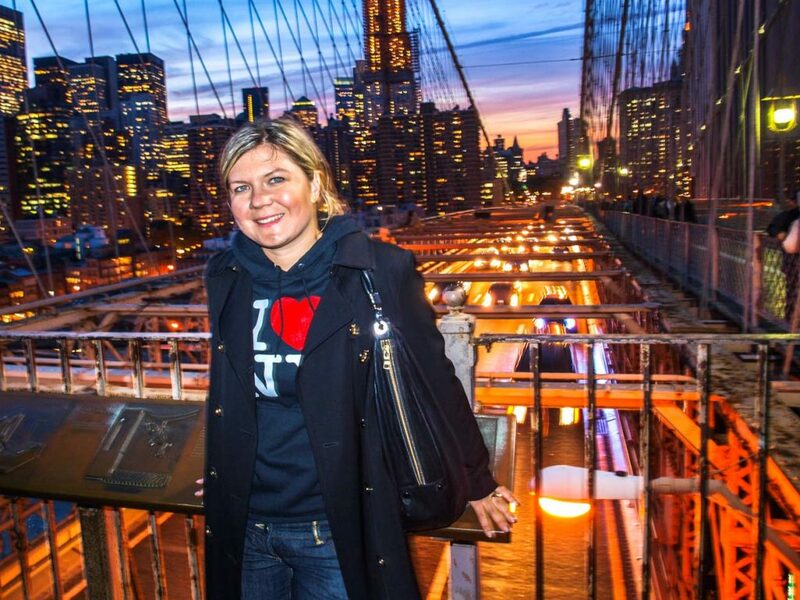 If you have time to spare do check out DUMBO one of Brooklyn’s trendiest neighborhoods. 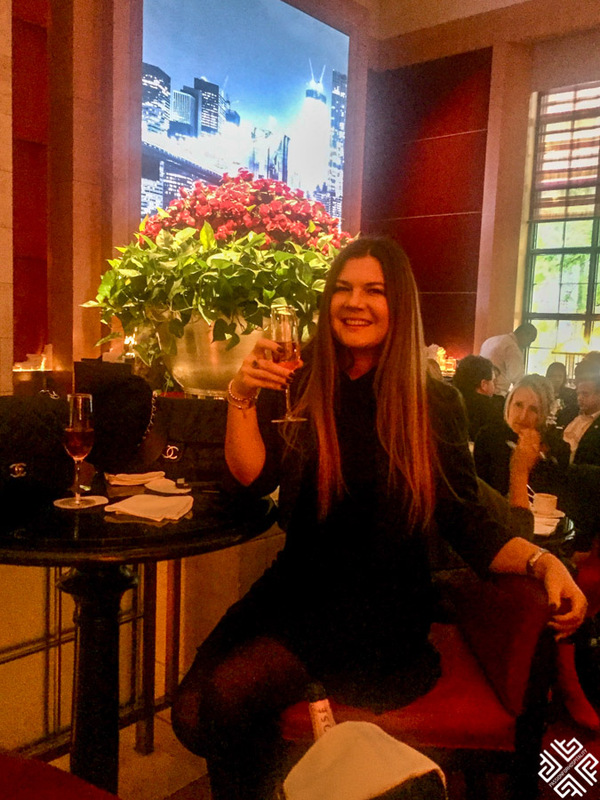 From when I was a young girl I have always dreamed of visiting the Plaza as it was one of my favorite scenes in the movie Home Alone 2: Lost in New York where Macaulay Culkin spends a fantastic time at the Plaza Hotel. 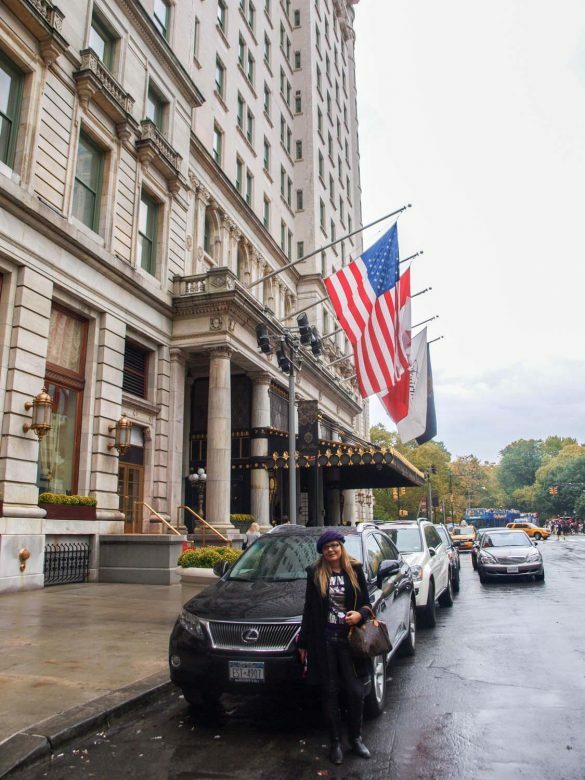 Located on Fifth Avenue at Central Park South it is one of New York’s most luxurious hotels. I had the salmon eggs benedict and it was delicious. I visited the hotel in 2009. 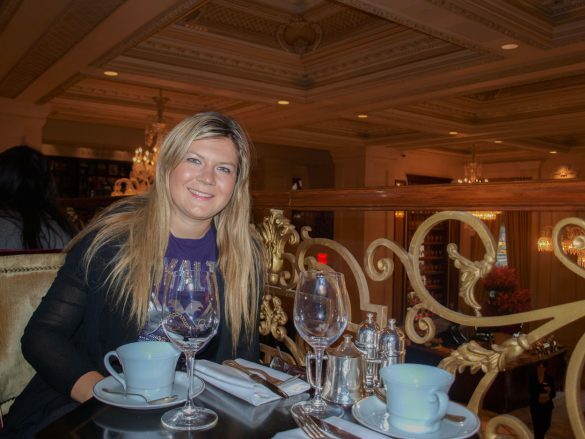 In 2013 The Palm Court was re-launched after a complete renovation. If you are planing a trip to New York in winter with kids, check out Top Things to Do in New York in Winter. 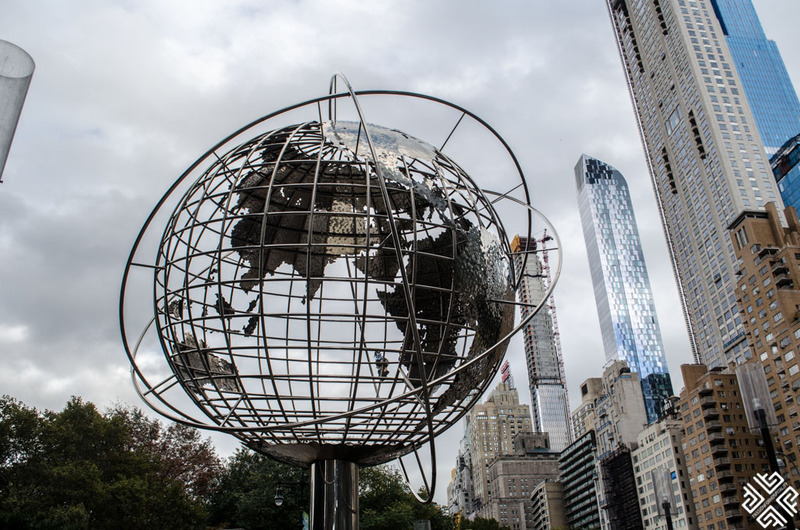 Named after Christopher Columbus the Columbus Circle is located at the intersection of Eighth Avenue, Broadway, Central Park South (West 59th Street), and Central Park West, which is the southwest corner of Central Park. 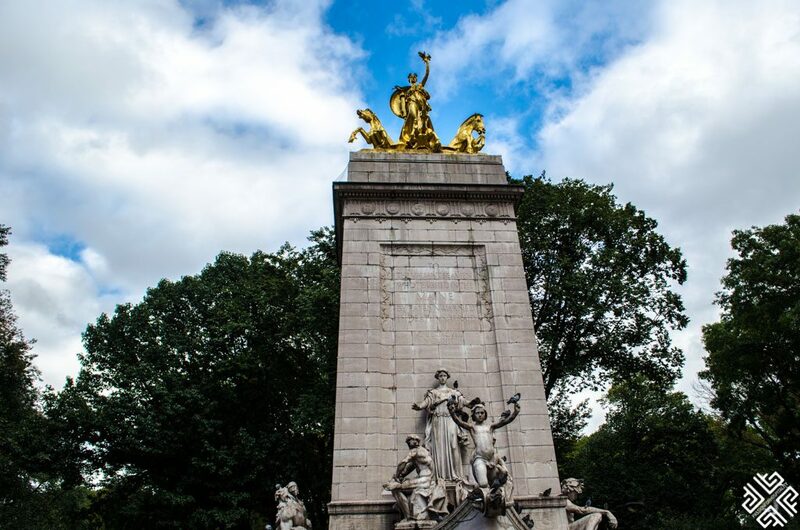 The monument in the centre of the circle was created by an Italian sculptor Gaetano Russo and it was one of three planned to be part of the city’s 1892 commemoration celebrating the 400th anniversary of Columbus reaching America. Here you will find the world headquarters of Time Warner corporation, the New York City studio headquarters of CNN, Trump International Hotel and Tower as well as the USS Maine National Monument which crowns the Merchant’s Gate entrance to Central Park. Fifth Avenue is a shoppers paradise. Home to some of the world’s most glamorous boutiques including Tiffany’s shown in the famous scene where Audrey Hepburn was having Breakfast at Tiffany’s. 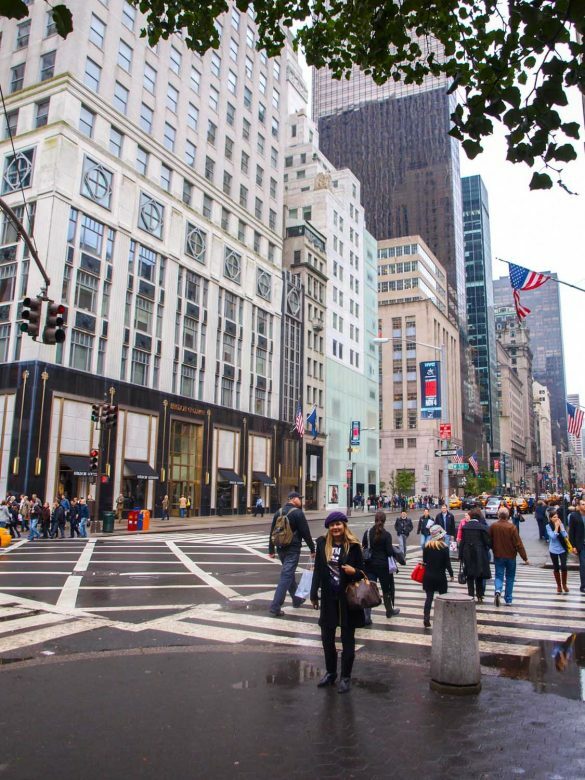 Among the popular shopping addresses are the department stores of Macy’s, Bloomingdale’s and Saks Fifth Avenue. One of my favorite flagship stores Juicy Couture was also once located here but has been closed since 2014. 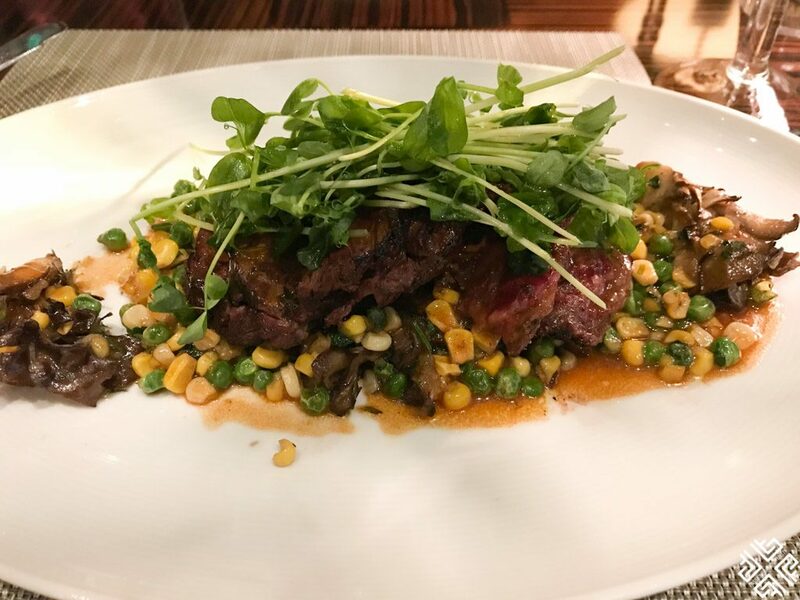 One of New York’s most popular restaurants, Le Bernadine has been on top of New York’s dining scene since it opened in 1986. The 3 Michelin-starred restaurant has been recognised as the #2 in the world and #1 in American on La Liste’s international list of 1,000 restaurants in 2017. The talented chef behind the sensational cuisine at Le Bernadine is Eric Ripert. At just 29 years old (1995) he had earned a four-star rating from the New York Times. Twenty years later and for the 5th consecutive time the restaurant was awarded with the New York Times’ highest rating of four stars. 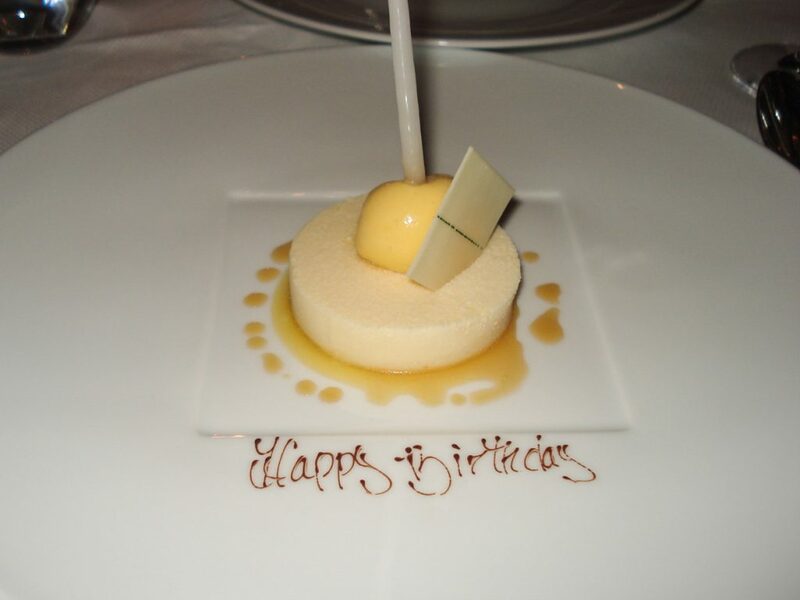 I had made a reservation to celebrate my birthday at Le Bernadine and we had the Chef’s tasting menu. The service and ambience was magical and the memories created will definitely last a lifetime. My mum had also asked for a surprise Birthday cake (last minute) and the team managed to present this beautiful dessert. 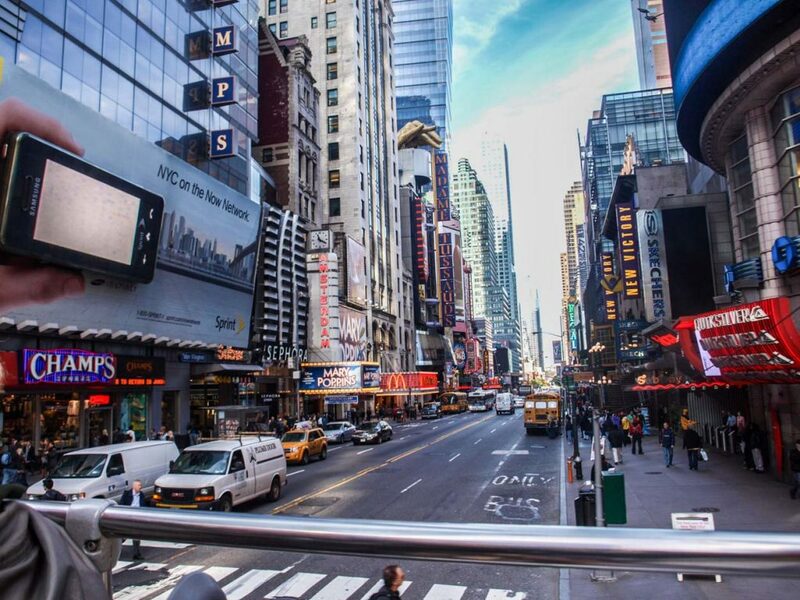 Times Square, the world-famous intersection located on the 42nd Street is a must-see when in New York. You will definitely want to come here on numerous occasions. 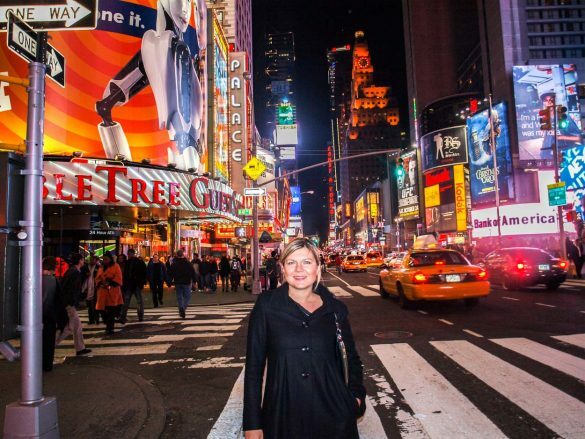 After dinner at Le Bernadine we walked to Times Square to admire the bright lights of the hundreds of billboards that surround this bustling square. 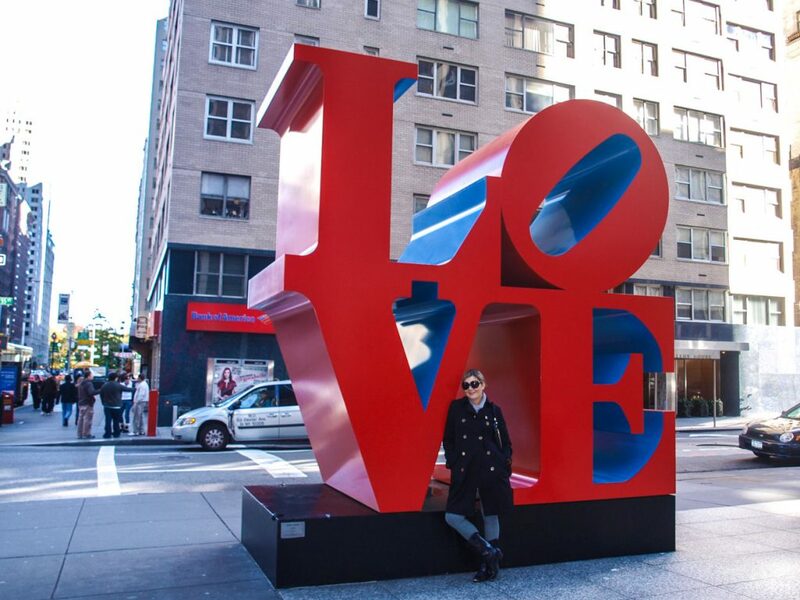 The famous LOVE sculpture created by Robert Indiana, is located on the corner of 6th Avenue and 55th Street in Manhattan. This pop image was initially designed for the Museum of Modern Art Christmas card in 1964. 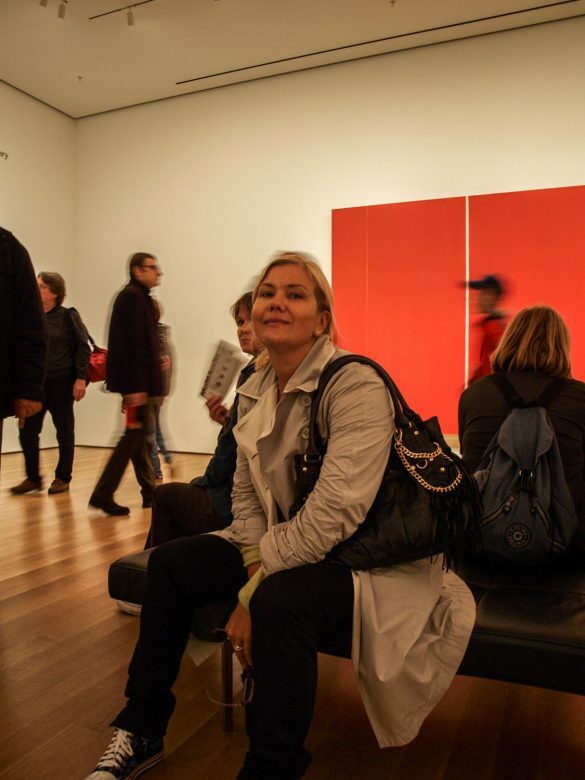 Afterwards I suggest that you visit the MoMa which is located on the 11 West 53 Street, Manhattan (just two blocks from the sculpture). The Museum of Modern Art is one of the largest in the world, displaying a vast collection of contemporary and modern art as well as works of design, architecture, paintings, sculpture and more. 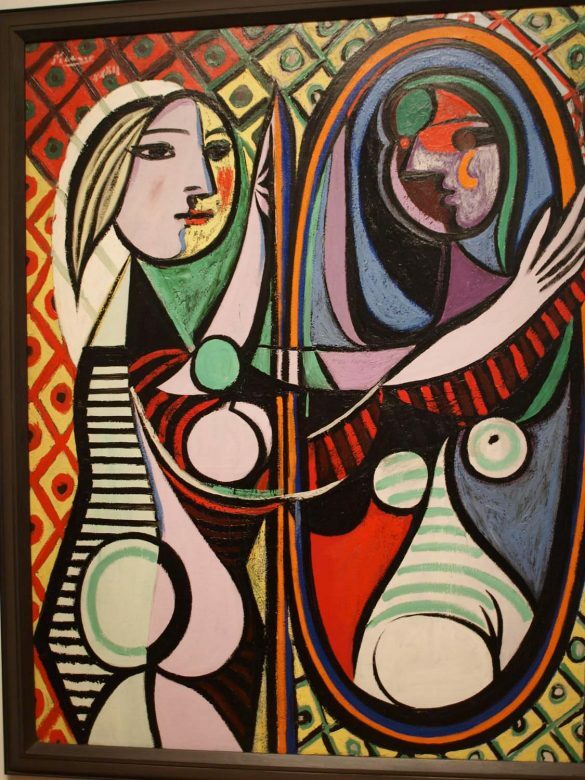 Here you will find famous works of artists such as Pablo Picasso, Henri Matisse, Marc Chagall, Frida Kahlo, Andy Warhol and many others. When I visited the Museum we had to wait in line for almost two hours to buy our tickets. Now I always use my GetYourGuide app to buy skip-the-line tickets online. This ticket also includes free Wi-Fi throughout the MoMa museum. Click here to purchase. Good to know before you go: MoMA is open to the public free of charge on Fridays from 16:00 – 20:00. To avoid the crowds I recommend that you visit at any other time. 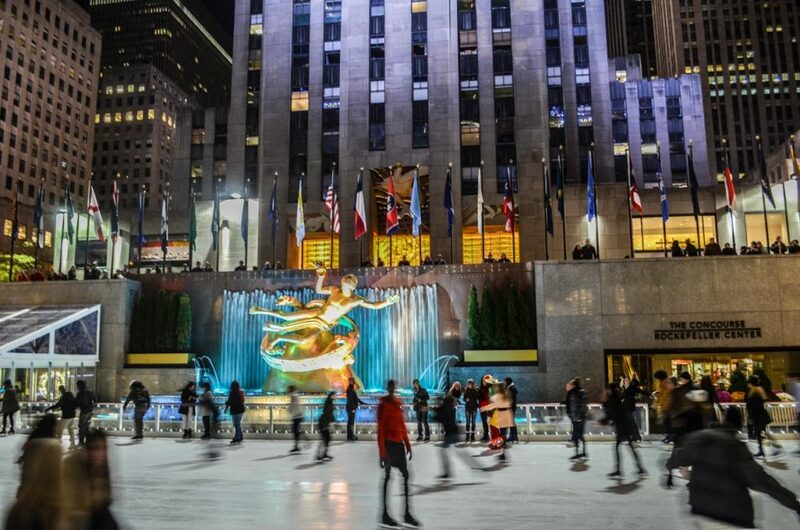 I haven’t been to NYC during the Christmas holidays but if you do wish to get into the holiday spirit how about ice-skating on the rink set right in the middle of the Rockefeller Centre. For a 360 degree panoramic views of New York you should definitely visit Top of the Rock from where you can enjoy the epic views of Central Park and Empire State Building. 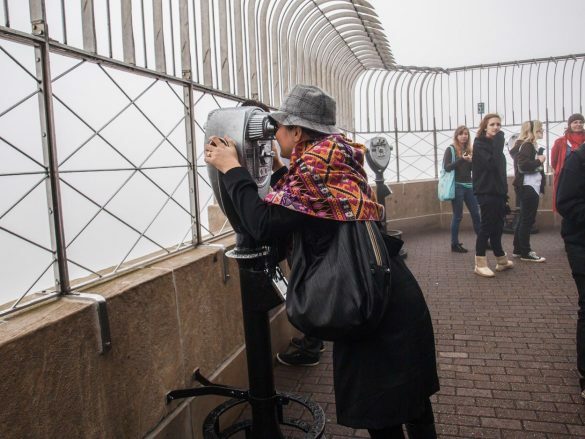 The lines here are long, thus if you want to have the flexibility of visiting this landmark any day of your trip, I recommend that you book the Top of the Rock Observation deck: Flexible Date Ticket. 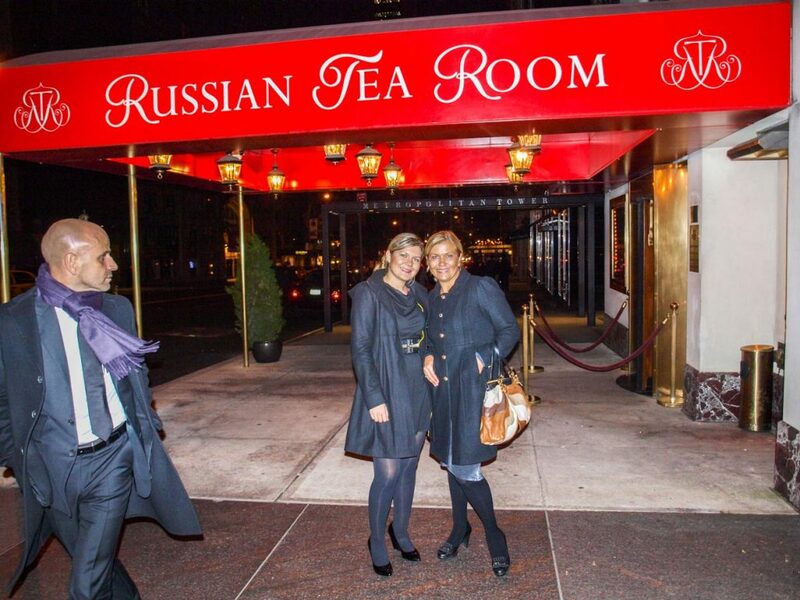 The Russian Tea Room is one of New York’s classics which has been around for over 80 years where many defining cultural events have taken place over the years. 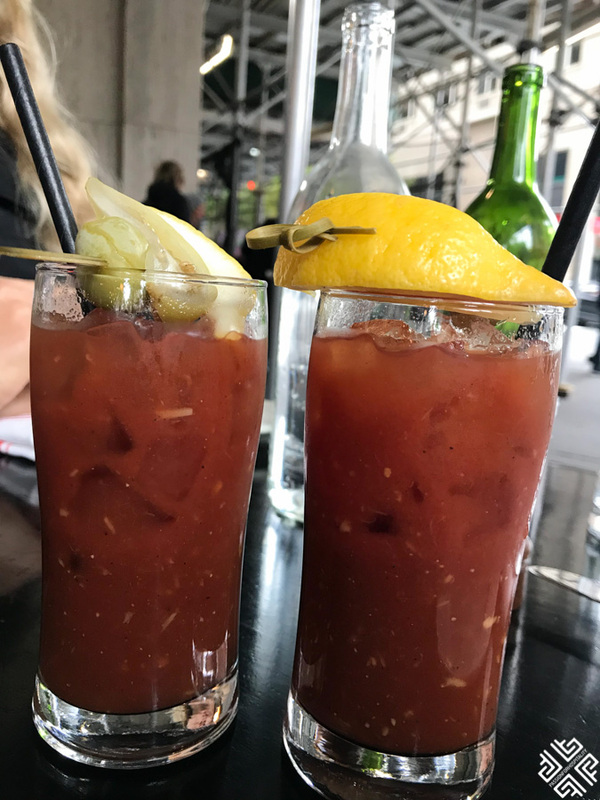 Located at 150 West 57th Street between Carnegie Hall Tower and Metropolitan Tower, this restaurant has been seen in the once popular TV series Gossip Girl. 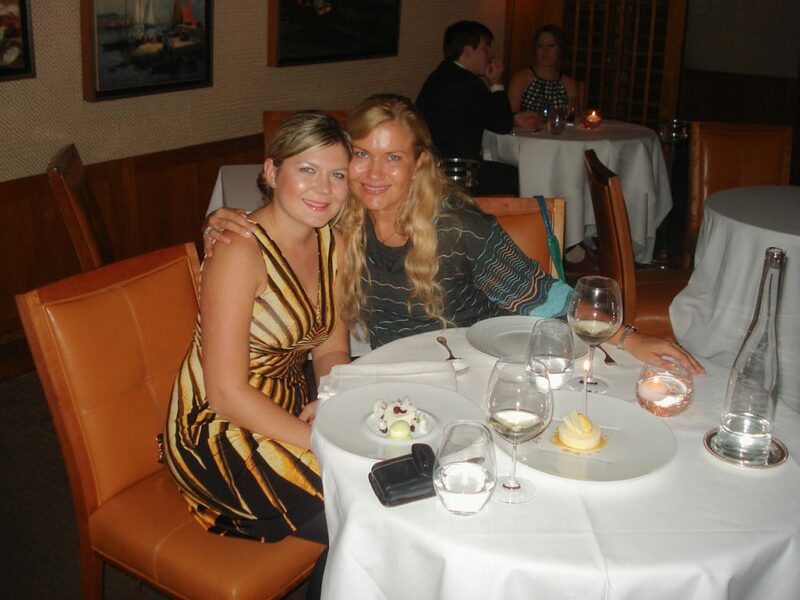 Serving Russian classics as well as high-tea, caviar and vodka of course. 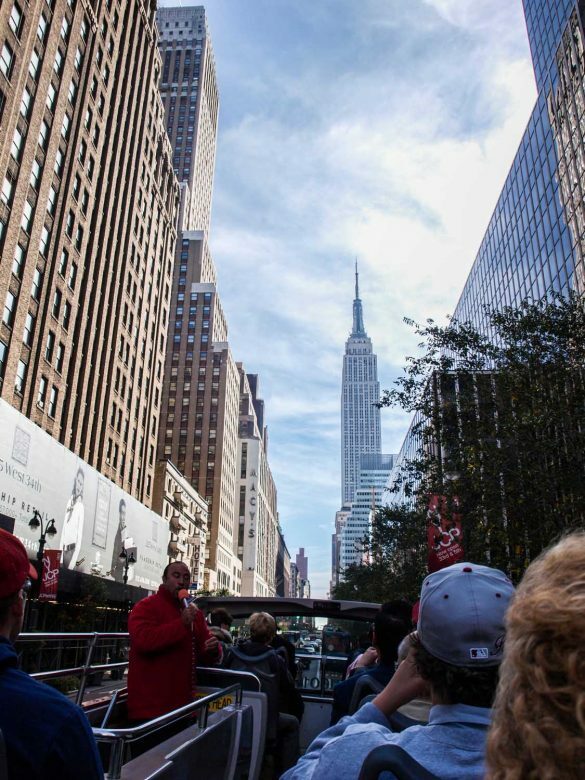 On the third day of the NYC Itinerary 7 Days we decided to take the Hop-on-hop-off bus which passed us through Times Square and all the way down to Lower Manhattan. You can buy the 48 or 72 hour ticket — depending on what you would like to explore. 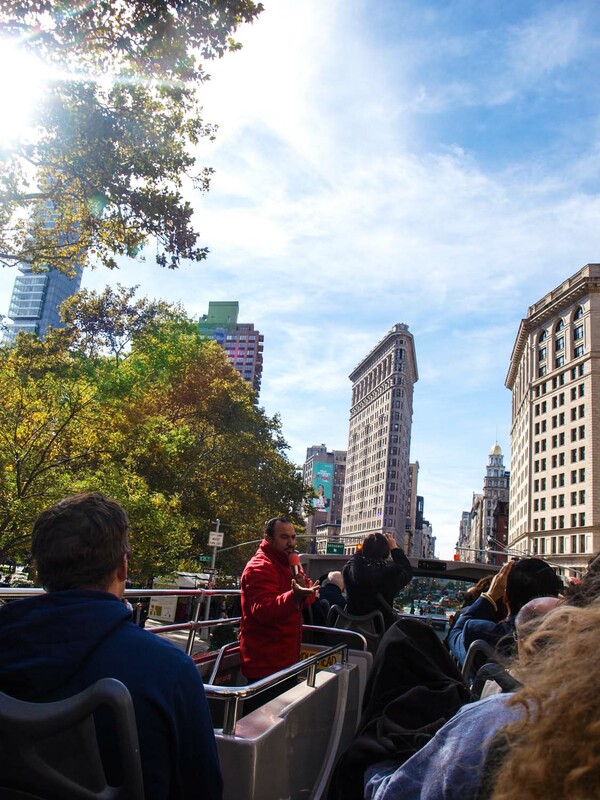 On our way we saw the famous Flatiron building and passed by the popular neighborhoods of Soho and Tribeca before reaching the World Trade Centre area. 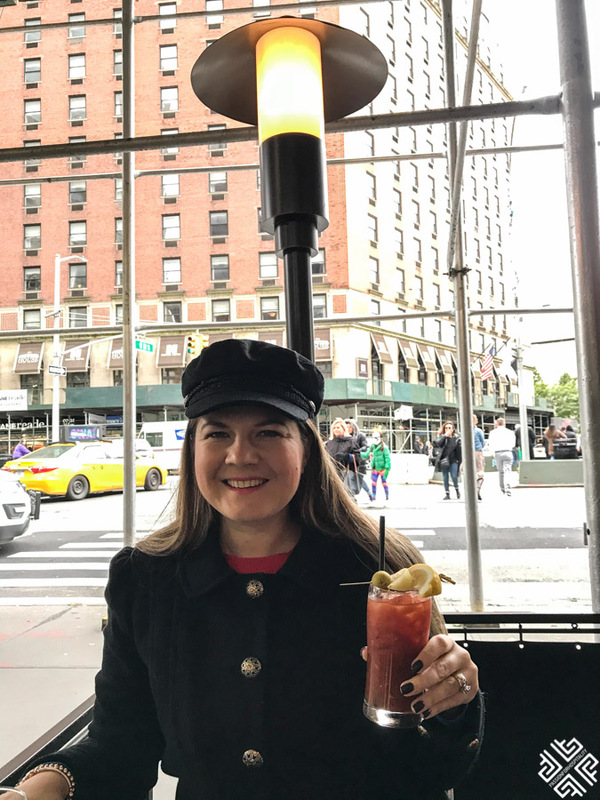 Tip: During my second time in New York I walked all the way down the Fifth Avenue and reached Flatiron Building, right through Soho and towards the World Trade Centre. We stopped for lunch in Pastis at the Meatpacking District which was one of New York’s iconic restaurants also popular for celeb and people watching (the restaurant is currently closed but you can enjoy its sister restaurant Balthazar New York in Soho). You can opt for walking if you have time to spare and if the weather permits. From Lower Manhattan you can take a ferry trip to visit the iconic Statue of Liberty and the Ellis Island. 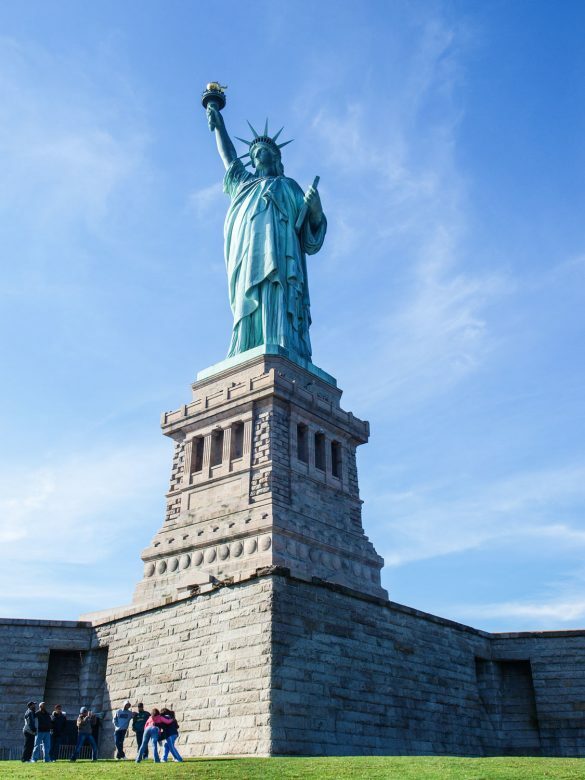 Lady Liberty is one of the highlights of New York and it is a wonderful opportunity to see her up close. 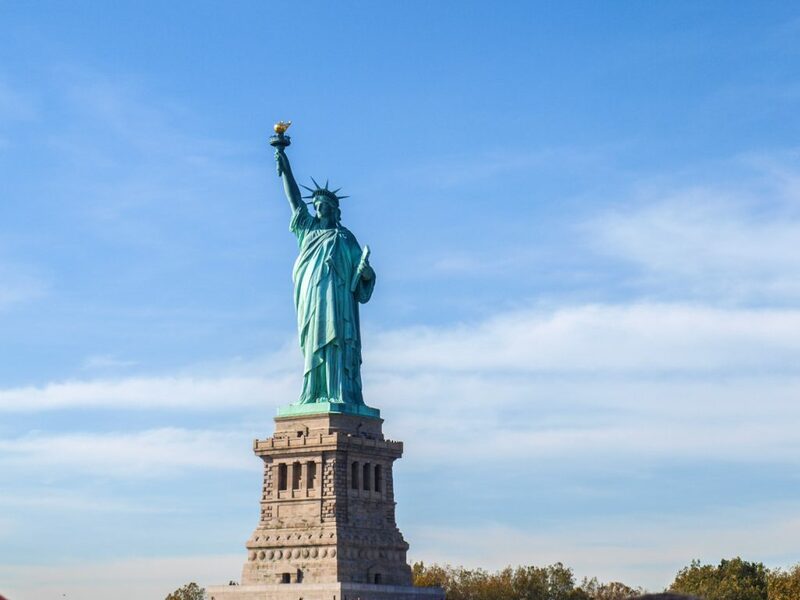 Following a stop at the Statue of Liberty the ferry will take you to Ellis Island which was once the gateway to 12 million immigrants entering the US. 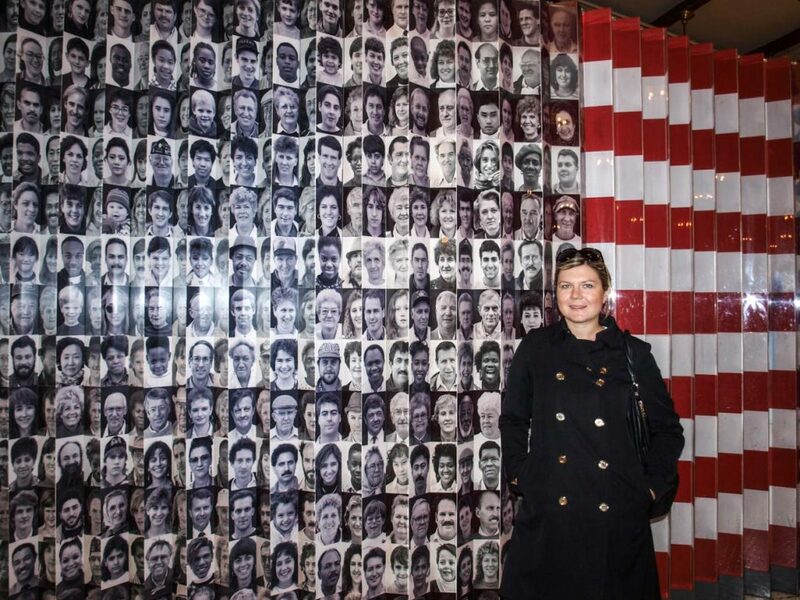 Some of the things to see here are the American Flag of Faces which is an interactive digital exhibit of portraits throughout the generations which have been submitted by individuals and families. You can also search the records for your family and discover if any of your relatives have immigrated to the US. The duration of the tour is 4 hours but please also consider the waiting time to get onto the ferry. When I did the tour I did not book online and had to queue for a couple of hours. Try coming earlier and I recommend that you opt for the Priority Statue of Liberty Ticket with Optional Pedestal. This way you can skip the “General Line” and book “Reserve Line” Priority Access. 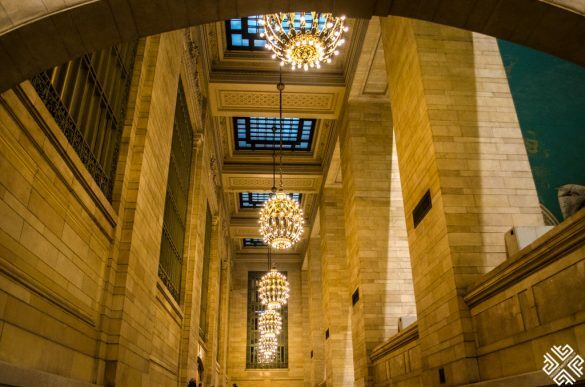 Better spend your time exploring New York. 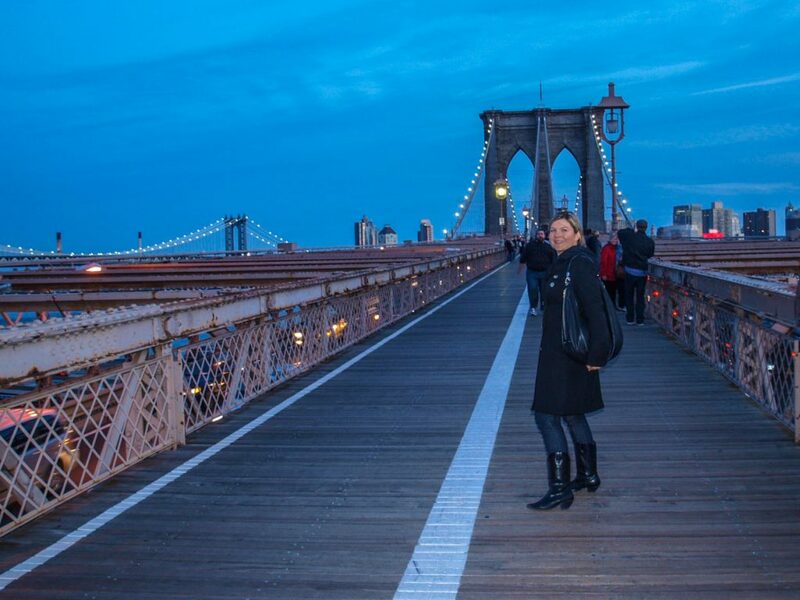 The Bridge is open 24/7 but is particularly impressive during the evening hours from where you can catch the sunset and the New York skyline all lit up. During the day it gets quite busy as New York commuters use the bridge to get to work. The place is also very popular among the tourists so be prepared for lots of crowds. When I went I was lucky as the bridge wasn’t too busy. This vibrant New York neighbourhood is famous for its numerous Chinese and Southeast Asian restaurants serving dumplings and noodles. 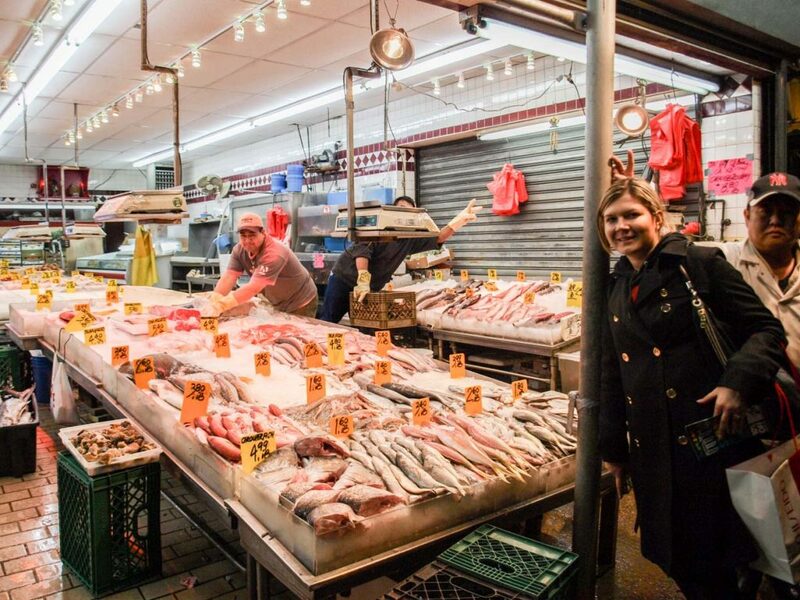 Packed with markets selling souvenirs and food, it is a must-visit destination for foodies. We came here after our visit to the Brooklyn Bridge. The place was quiet as it was evening and we sat down for dinner in one of the local restaurants. 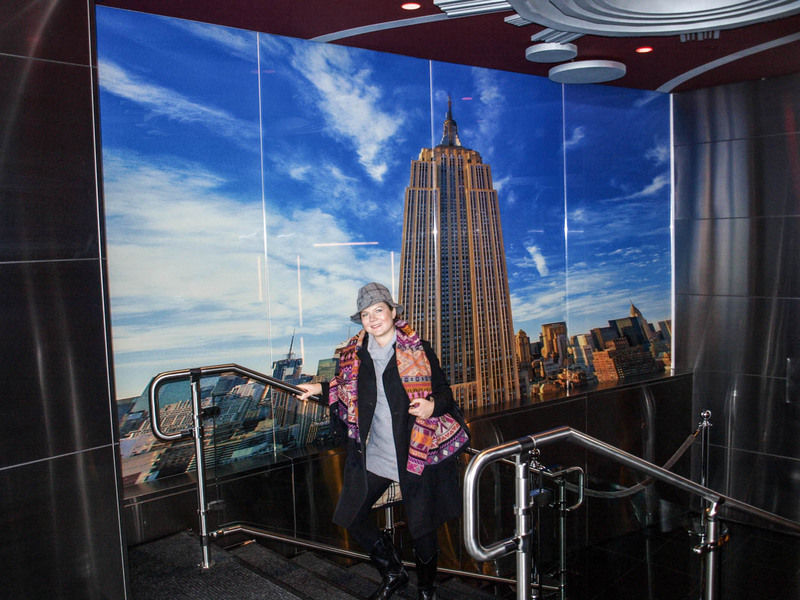 Since our hop-on-hop-off bus ticket was still valid we made our way to Lower Manhattan to visit the Empire State Building. New York’s highest open air observatory is located on the 86th floor of the Empire State building. Unfortunately it was foggy on the day we visited and the view wasn’t clear. There were still people who went up anyway. This place like all the other major tourist attractions in New York gets very busy. To save time I recommend that you buy your ticket online, not only will you get to skip the line but you have a flexible date ticket which allows you to plan around the weather conditions. There are a number of store locations around New York but I have been to the one located just across from the World Trade Centre on 21 Dey Street. If you are taking the subway you can get off at the Cortlandt St Station. This is a major discount store where you can buy anything you can imagine. The longest I spent at Century 21 was 8 hours. If you enjoy shopping I am sure that you will be tempted to visit the Fifth Avenue a couple of times. 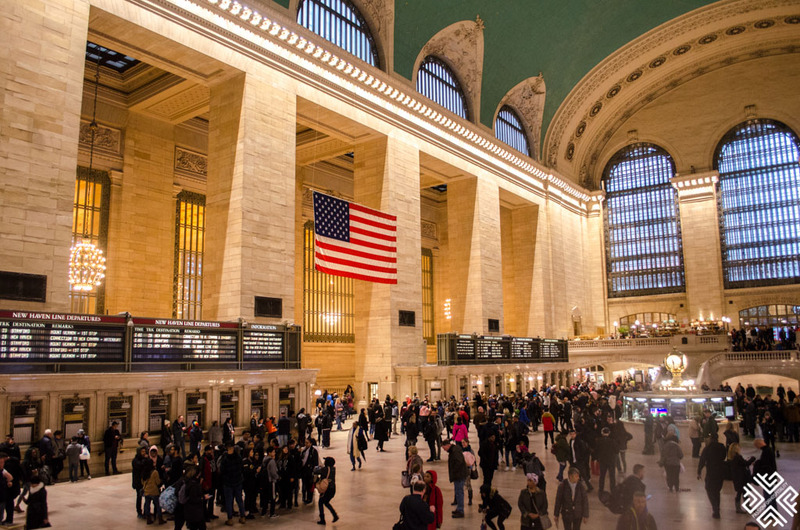 From here you can also enjoy a short walk to the Grand Central Station — the jewel of Midtown Manhattan. 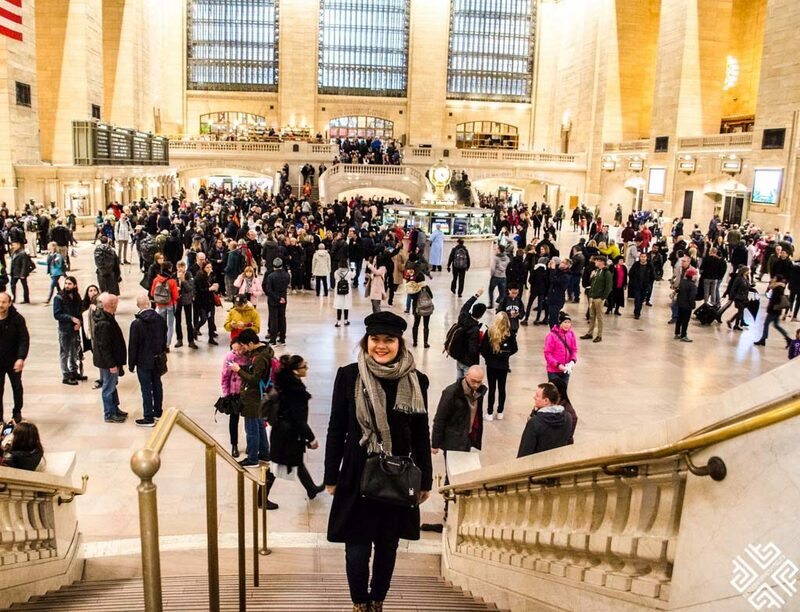 The iconic landmark of New York is not just a train station but is also a shopping, dining, and cultural destination. One of Americas greatest architectural achievements. The exterior is adorned with the second-most famous clock— the Tiffany Clock which depicts the Greek Gods representing virtues of the railroad. 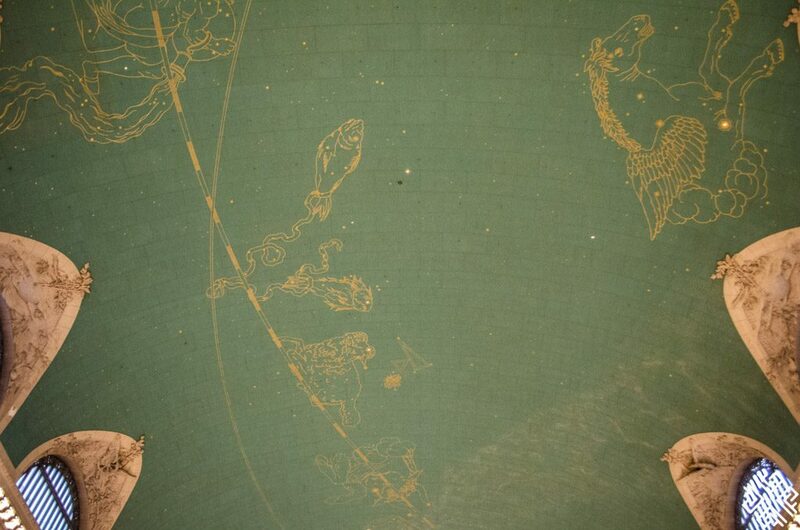 It is 14 feet in diameter and is the largest example of Tiffany glass in the world. You can also opt for a self-guided 1-hour tour of world-famous Grand Central Terminal and learn all about its history, architecture and the famous movie scenes which have been filmed here. 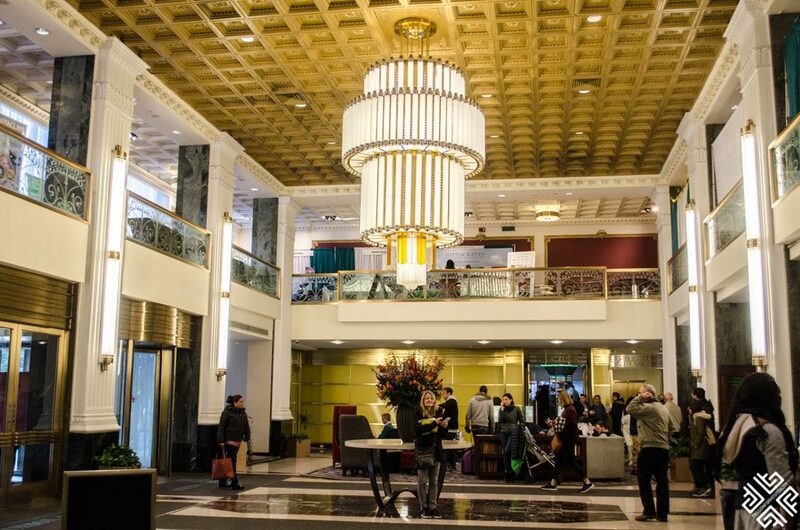 One of New York’s most historic hotels is now going a full renovation and will be open in a few years. 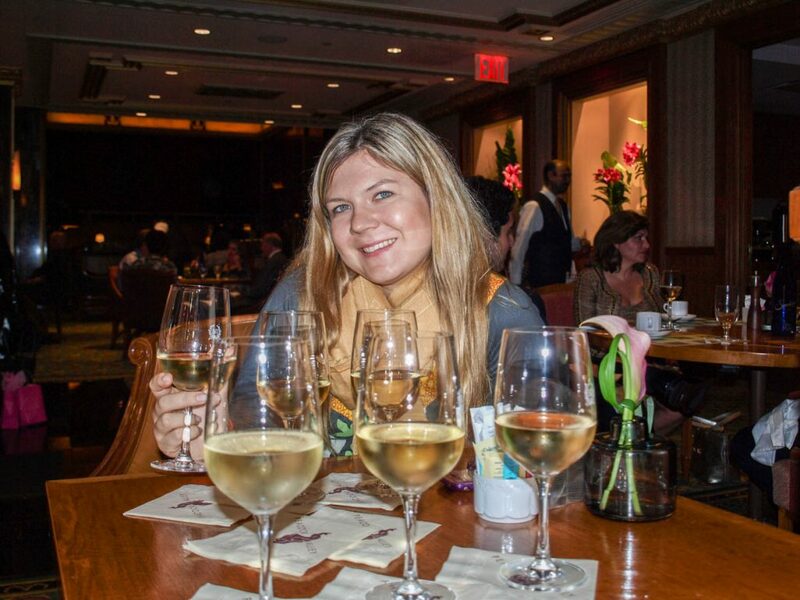 During my first trip to New York we enjoyed a delightful afternoon of wine tasting at the Peacock Alley. 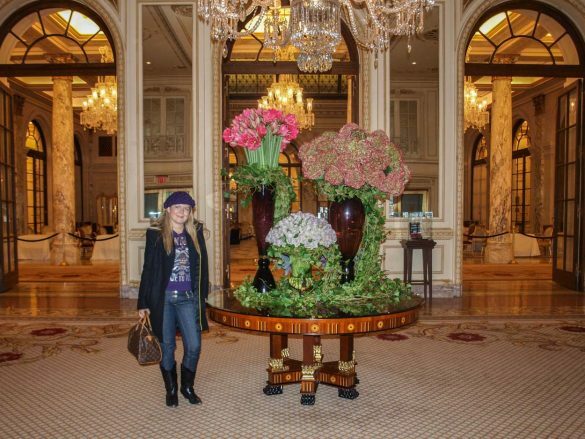 During my second trip to New York we stayed at the Waldorf Astoria. I am looking forward to seeing its transformation in the near future. 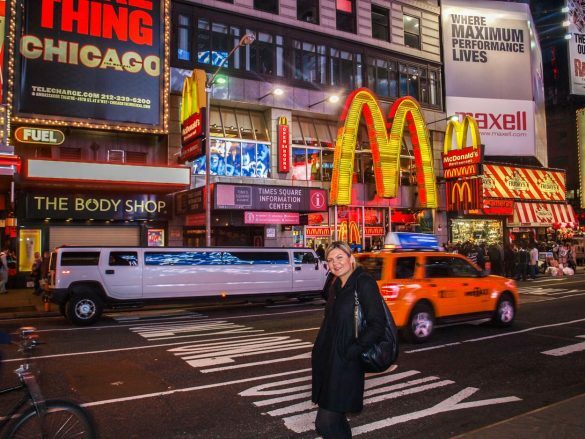 You can’t leave New York without seeing a Broadway Show — it’s definitely a must. I went to see the Phantom of the Opera and absolutely loved it. To see what shows are on, ticket prices and times click here. 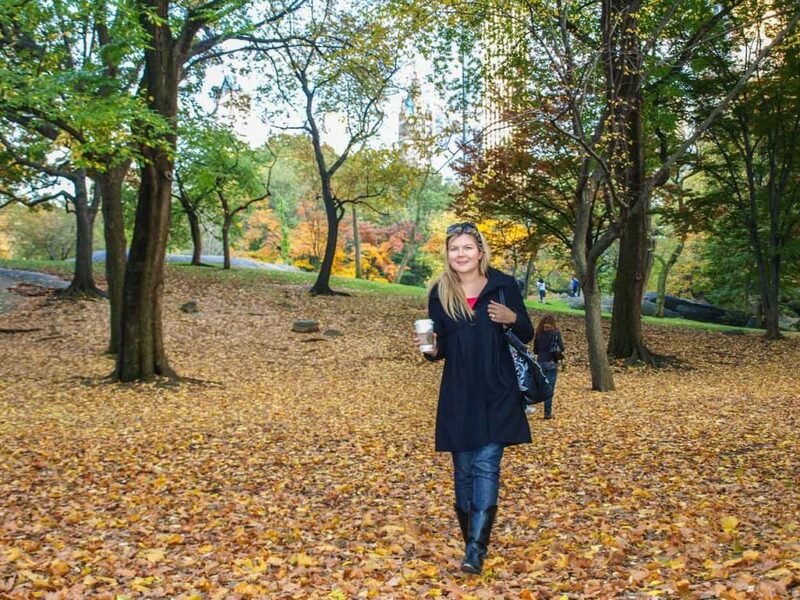 Central Park is one of the highlights of New York. 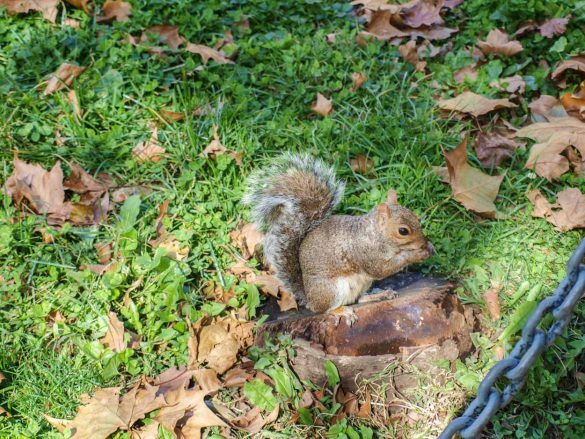 An all year destination and a favorite spot of the New Yorkers — this gorgeous park is filled with actives and things to do. You can simply take a relaxing walk, go for a run, opt for a bicycle tour or even enjoy a picnic. Click here to see what’s on at Central Park. The Metropolitan Opera House is housed inside the Lincoln Center for the Performing Arts. 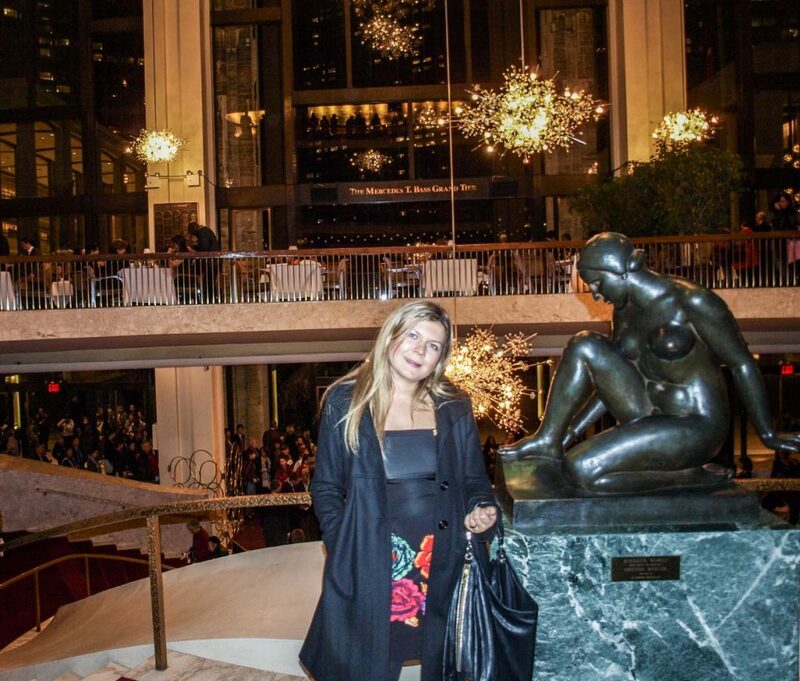 One of the greatest opera houses in the world, the Met welcomes some of the worlds greatest performers and artists. I have been to the Met on two occasions, I have watched both Aida and A Midsummer Night’s Dream written by William Shakespeare. You can buy tickets at the ticket office however tickets sell out fast therefore if you wish to get good seats, I would recommend that you book your tickets online. Depending on what time your flight departs, you can still squeeze in a little bit of shopping before you go. 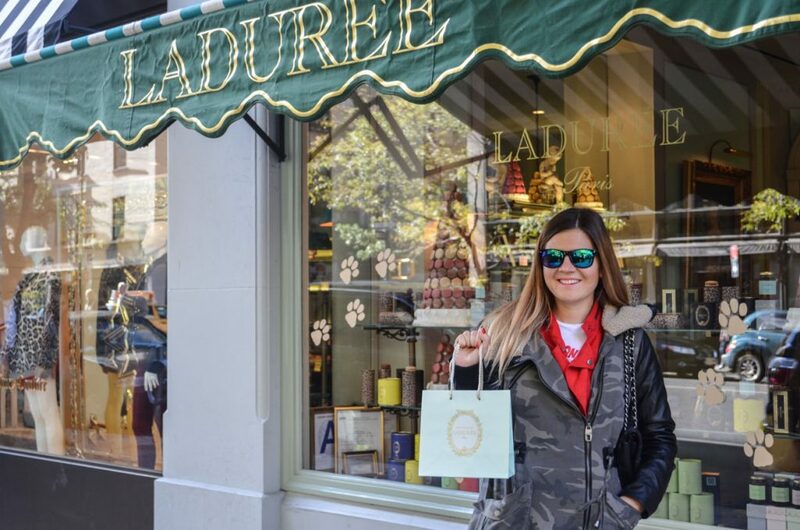 If you like macarons you can head to the Ladurée New York Madison and stop at the Nespresso for a champagne and coffee break. 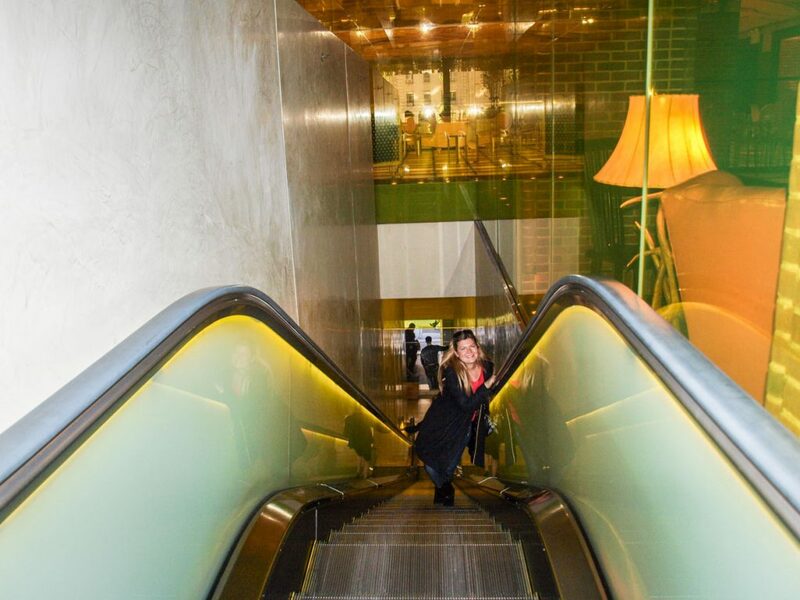 Ideally located next to Central Park, Lincoln Centre and other major attractions in Manhattan the Hudson Hotel is a stylish design hotel. 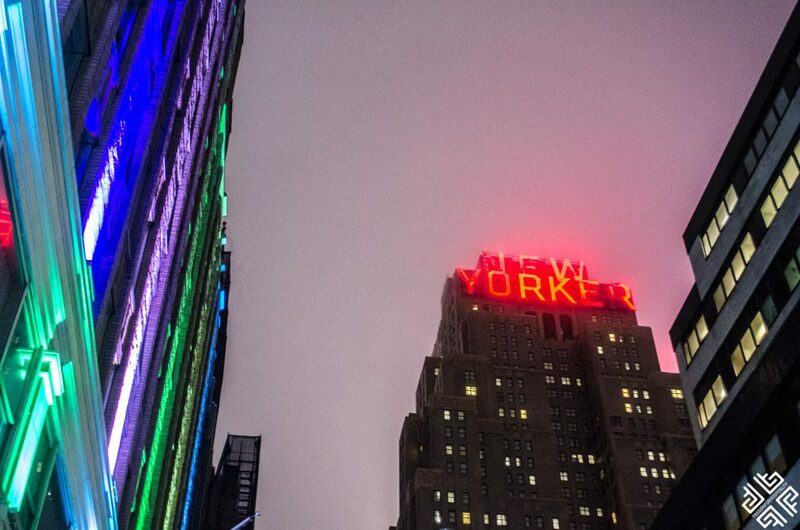 I stayed here during my first trip to New York and loved the ambience. 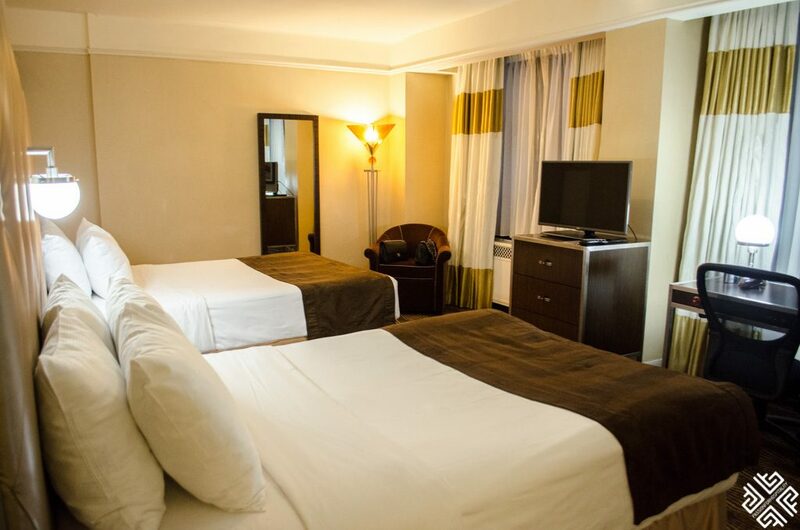 The guest room was rather small, but that can be the case in many hotels in New York. It has a gorgeous garden oasis and is home to the famous Hudson Bar which is perfect for fun evenings in New York. Book Hudson Hotel here. 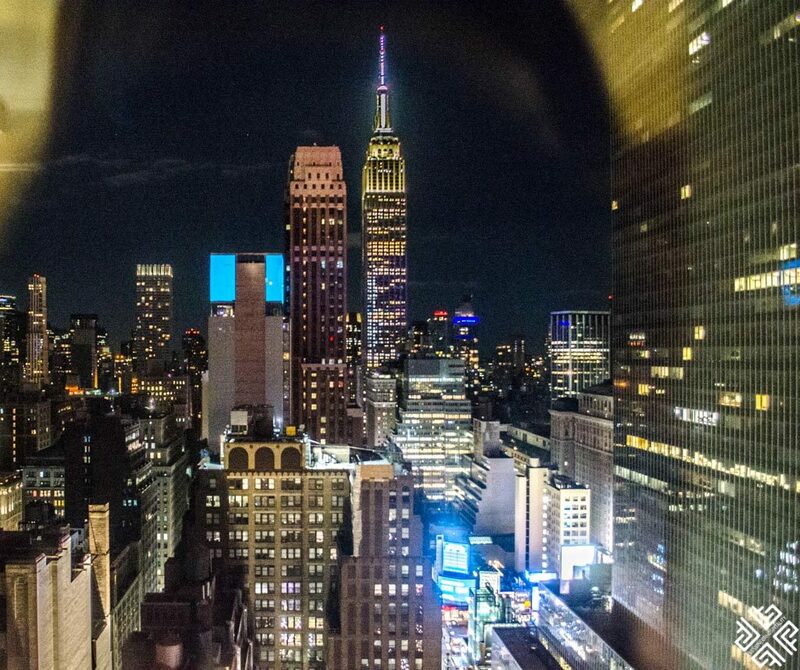 Set right in the heart of Midtown Manhattan, the New Yorker, a Wyndham Hotel is one of the city’s historic hotels. Built in the early 1920s it was the largest hotel in New York City with a total of 2,500 rooms. 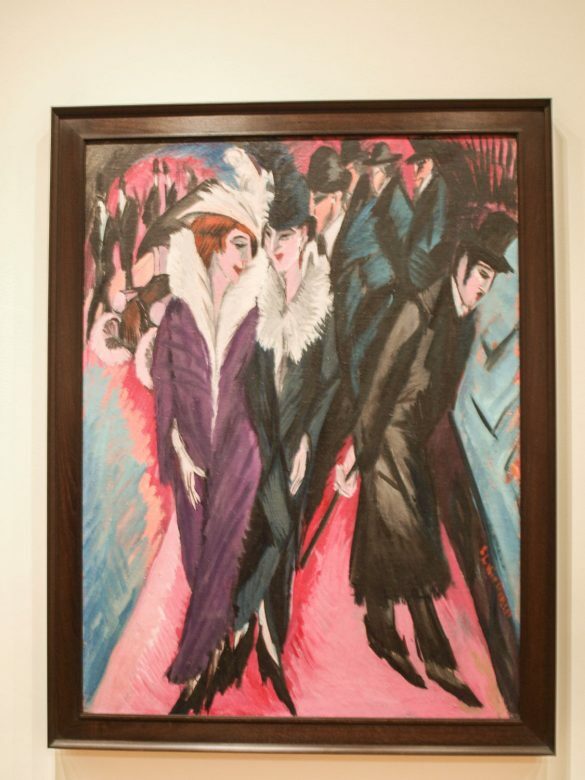 This Art Deco property is set on 8th Avenue, just a short walking distance from Times Square, Madison Square Garden, Empire State Building and the Empire State Building just to name a few. The Macy’s Herald Square is a few steps from the hotel. 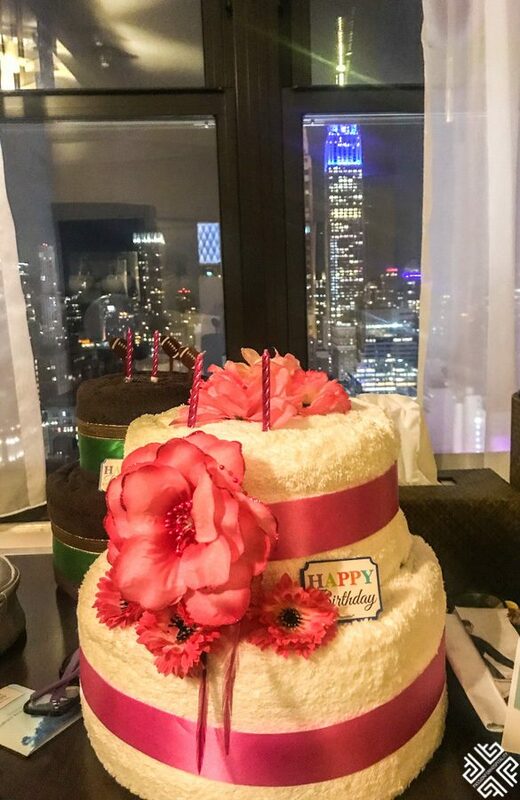 We stayed here for four nights at the end of October 2018 in a Metro Room Double on the 37th floor with a stunning view of the Empire State Building. Our room was spacious with two double beds, a separate closet, work desk, iron and ironing board. 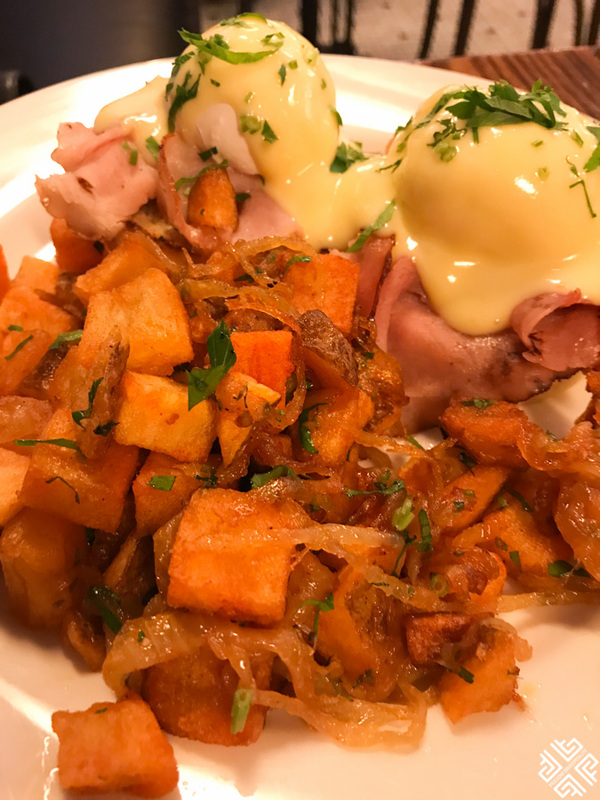 The room does not provide a mini bar, but if you are feeling hungry or thirsty there is a great diner, the Tick Tock which is open 24/7 and you can get the food delivered to your room too. Bathrobes and slippers are available upon request. The bathroom was stocked with Blue Harmony toiletries and a hairdryer is available in the room. 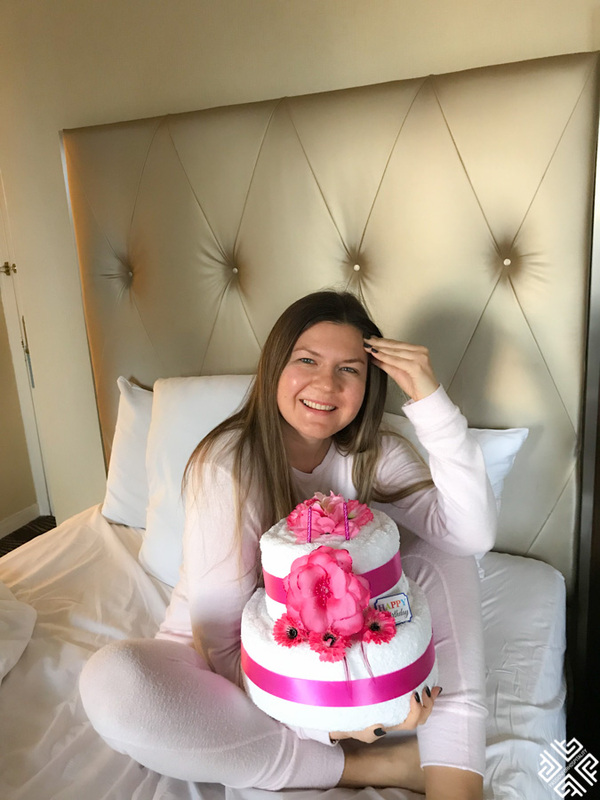 I was in New York to celebrate my birthday and the hotel had sent a towel cake to my room for the occasion. During our stay we went twice to the Tick Tock Diner which is actually owned and managed by Greeks. Once we had dinner and another day we came here for breakfast. 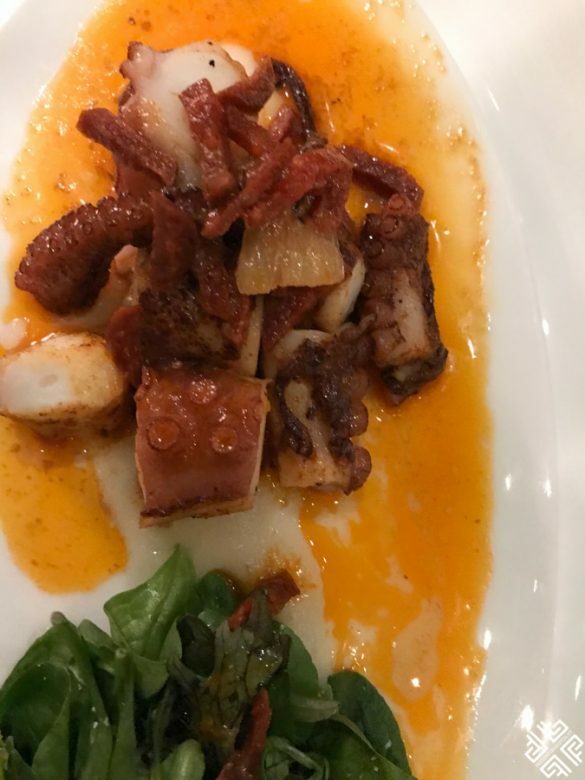 The portions were very generous, the food was good and so was the service. 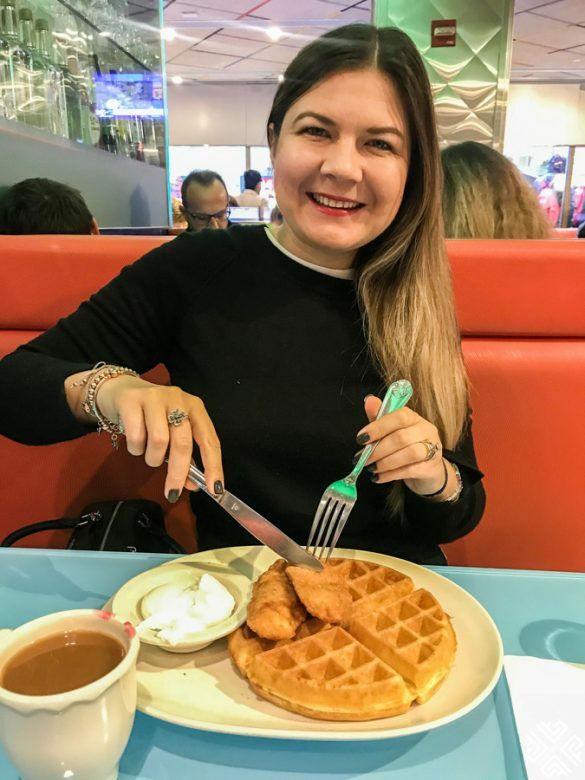 Even if you are not staying at the hotel and wish to experience an American style diner, I definitely recommend this place. 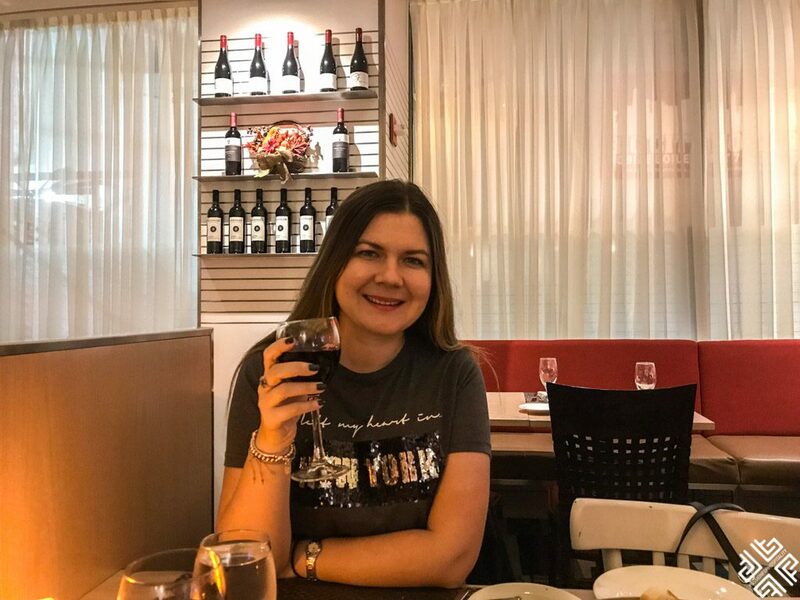 Another evening we tried the Italian restaurant, Trattoria Bianca which is also located on the ground floor of the New Yorker. We were welcomed by Greeks again which was a pleasant surprise. Mr Yiannis, the Manager was very welcoming and we felt like at home. I had the Veal Milanese which was very good. 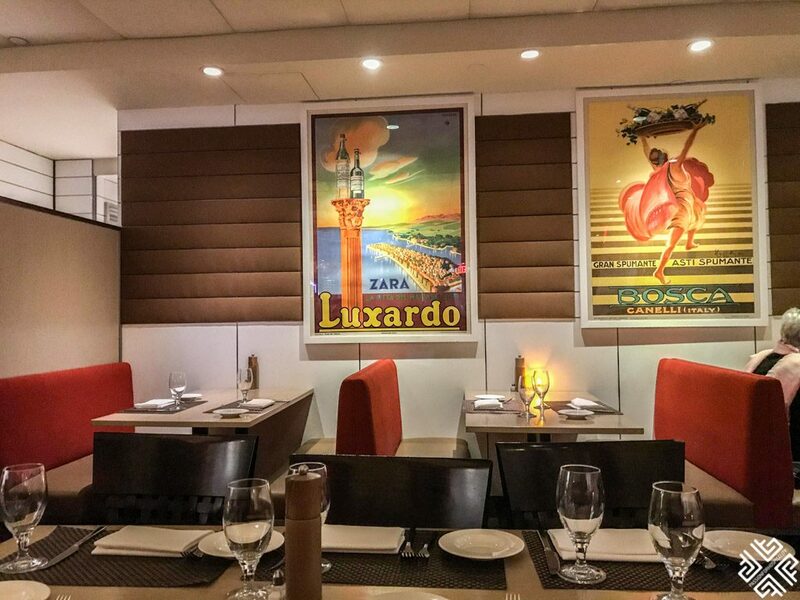 The menu has a selection of salads, antipasti, pizza, pasta as well as meat and fish dishes. The restaurant is open from 11:30 am until 10pm. For my birthday lunch we made a reservation at the Garden restaurant at the Four Seasons New York Hotel. The Garden provides a gorgeous forest like setting amidst the bustling city life. 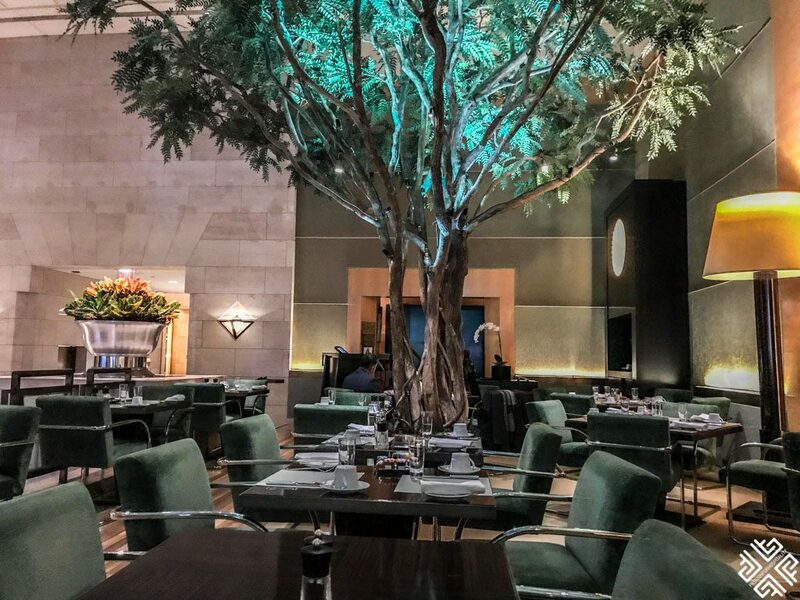 Inside the restaurant you will find trunks of enormous African Acacia tress, which give the restaurant an enchanting feel. Their menu is prepared using fresh locally sources produce and organic meats. 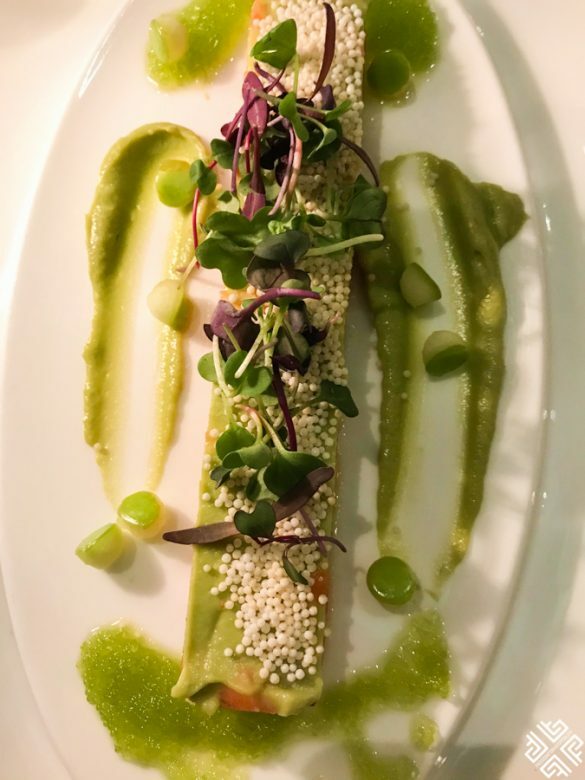 We tried two starters — warm octopus and Ora king salmon tartare, which was exceptional served with pickled ginger and green apple. 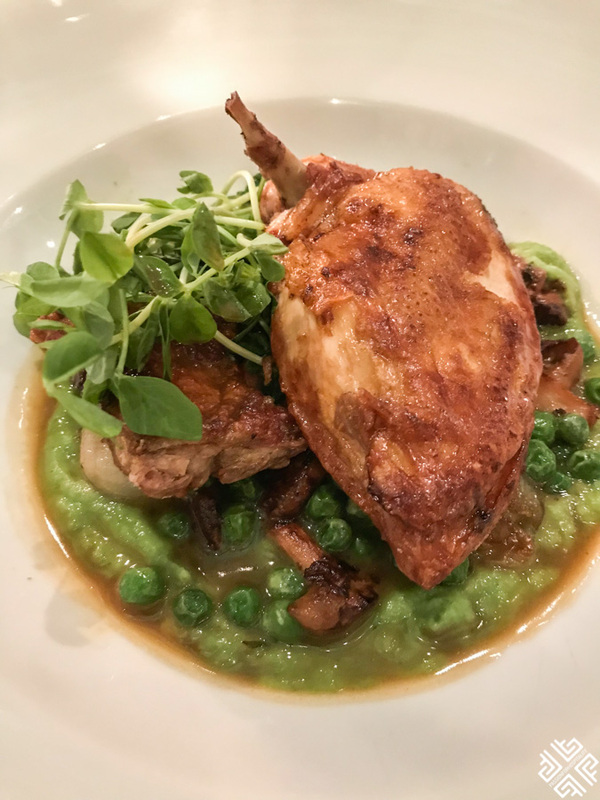 For mains we opted for organic chickens with bean purée and duo of Wagyu beef. 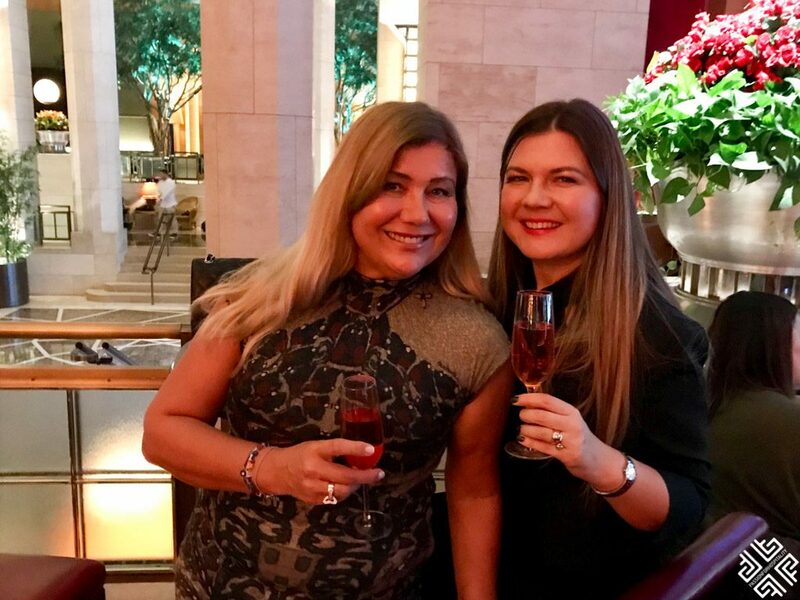 We then continued our celebration at the Ty Bar which is designed with art deco inspiration and overlooks the Grand Lobby. 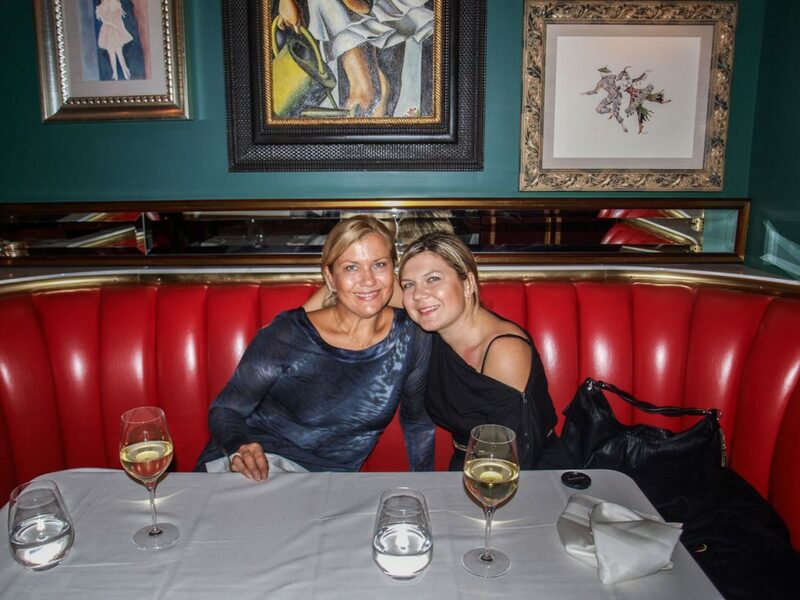 It is a popular place for socialising, and has an extensive bespoke cocktail menu as well as cocktail classics from the 1920s and 1930s. 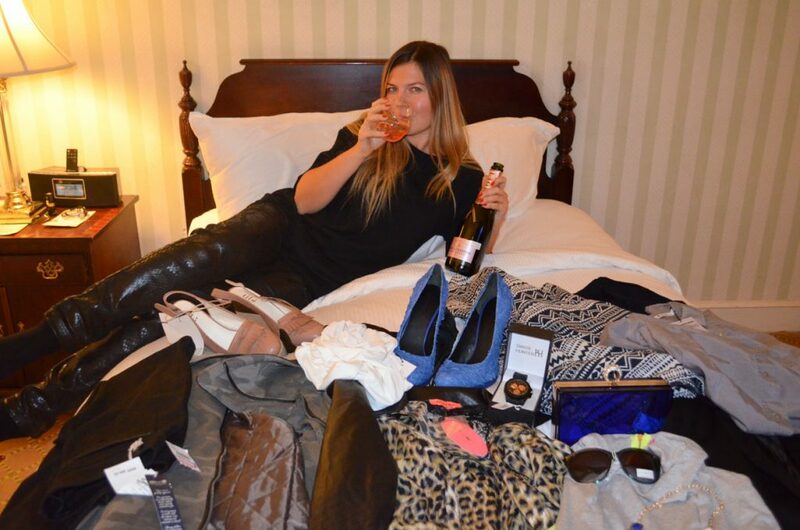 We opted for Moët & Chandon Imperial Rosé champagne. 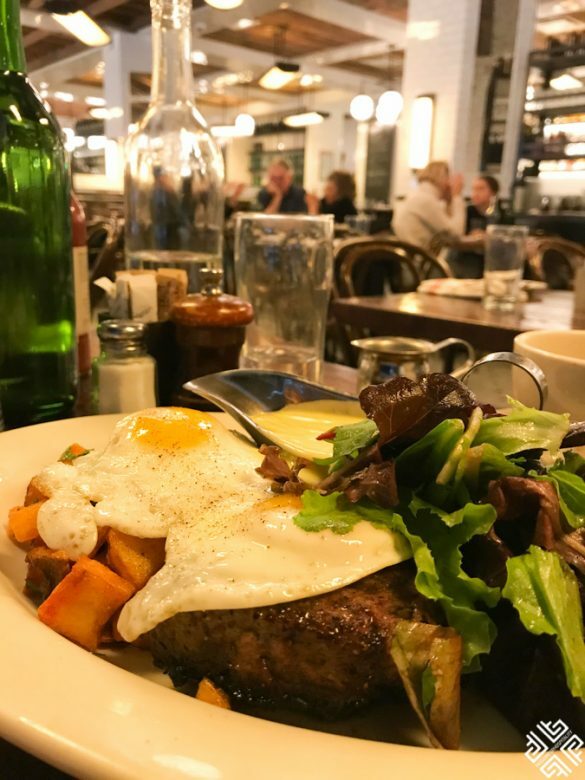 We found this casual American Brasserie by chance as we were walking past their restaurant in the NoMad neighborhood on 1150 Broadway. We sat here for breakfast and loved their menu. I had steak and eggs which was fantastic, and my mum had the Smith eggs benedict. 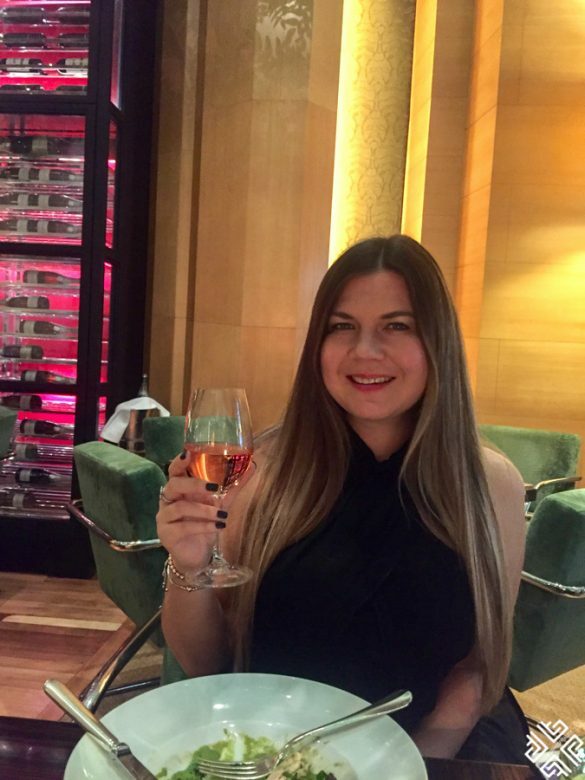 The restaurant has a lovely ambience and great services. There are four Smith restaurants in New York, so on another day we sat at the one on the street right across from Lincoln Center. 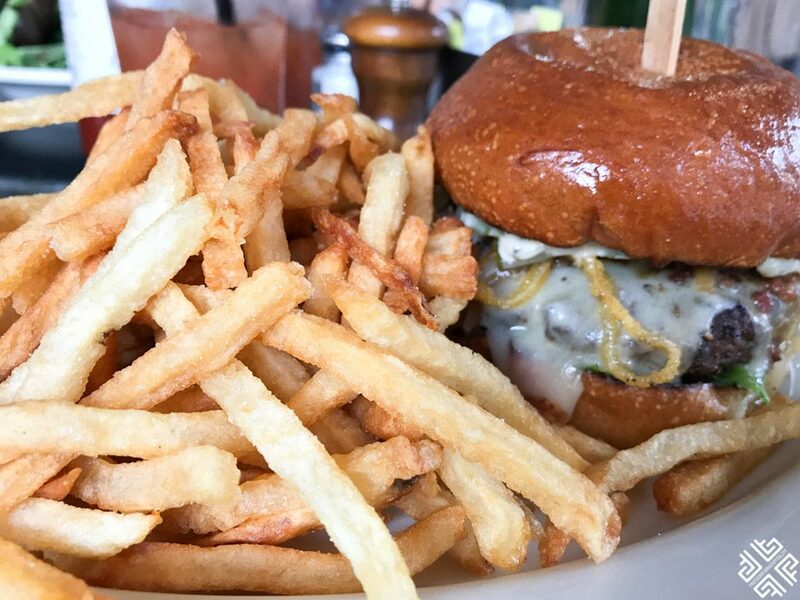 This time I opted for a juicy burger and a Bloody Mary. It was Sunday and very busy, so we sat outside. I highly recommend this place. 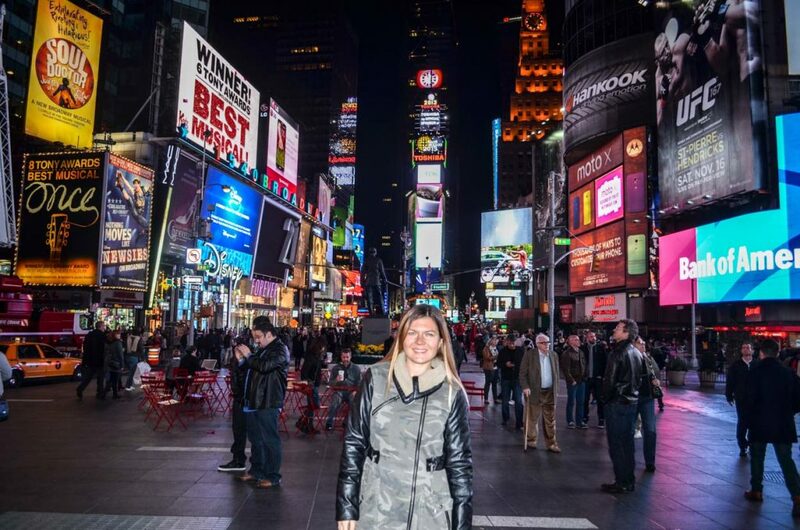 New York is a busy city and if you don’t have too much time to spare, you should definitely pre-book your desired activities online to make the most of your New York trip itinerary. I’m in LOVE switch your jacket!! Is there any chance you could tell me where you got it? Great post! I’m going for a week in a couple days! Thanks Chelsey! The army one you mean? It’s Miss Sixty I bought it in New York from Century 21. Have a fabulous time in NYC. Is it your first time? Nice I have been twice going back in 19 days 🙂 Oh this one it’s from DKNY got it in New York. So what’s on your program for this trip? Oh sounds fun. I am going to the Met to watch Tosca. 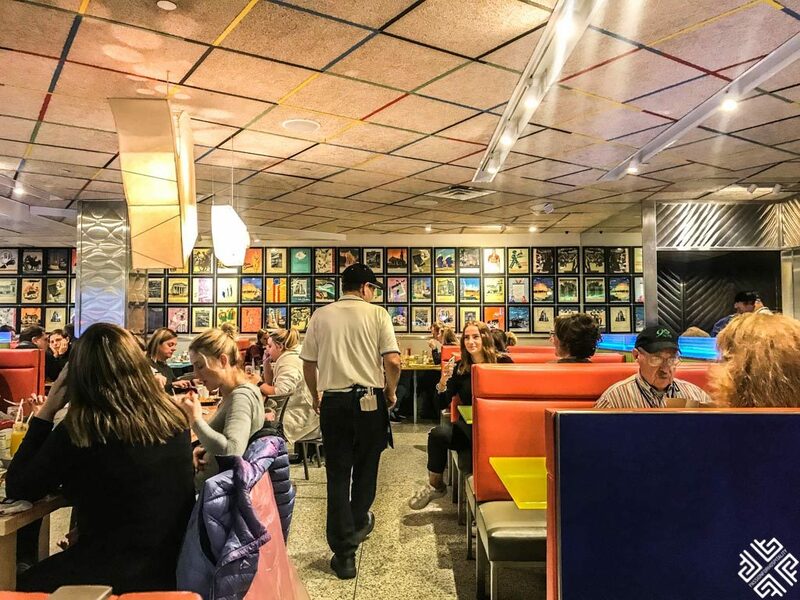 Haven’t been to Ellens Stardust Diner, looks like fun. Let me know how you like it. Are you on instagram by any chance?